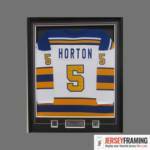 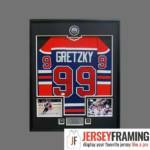 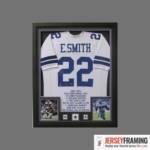 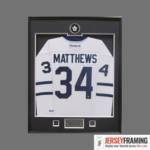 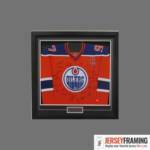 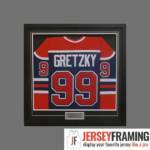 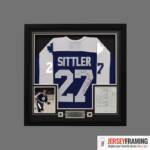 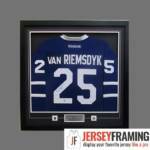 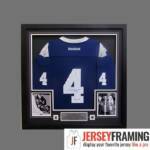 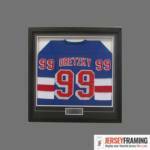 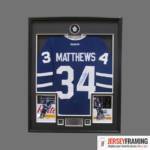 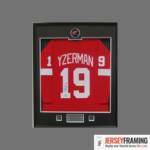 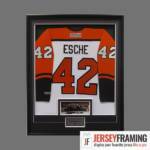 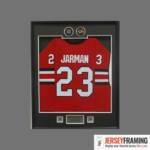 Since opening our doors about 17 years ago, our teams has framed thousands (and thousands) of hockey jerseys. 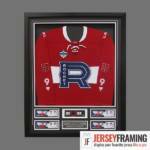 Ranging from NHL and CHL jerseys to National Teams, KHL and even house league amateur club. 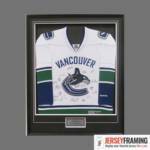 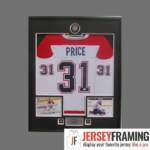 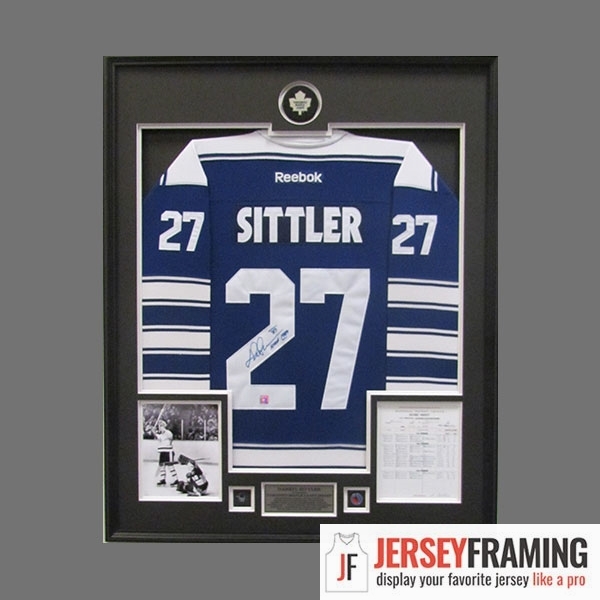 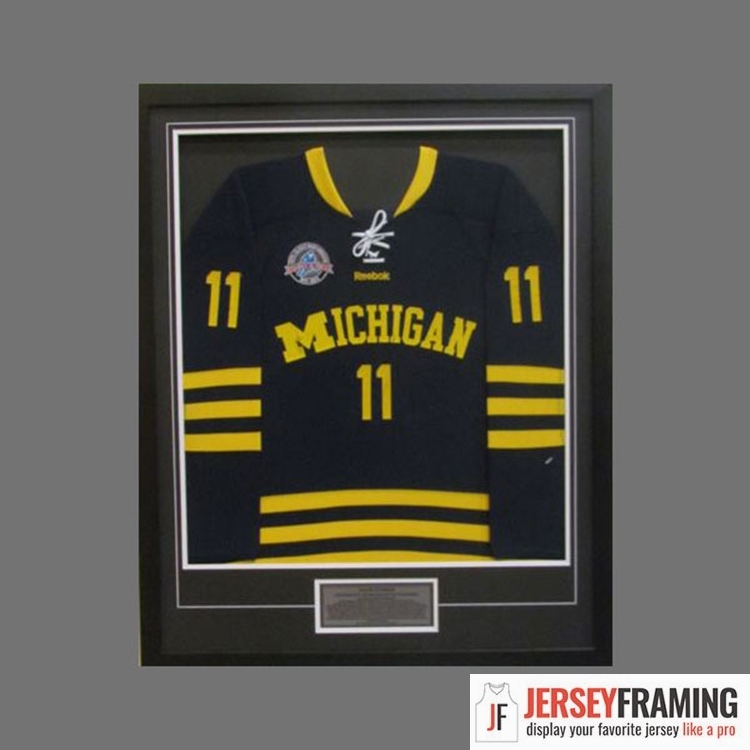 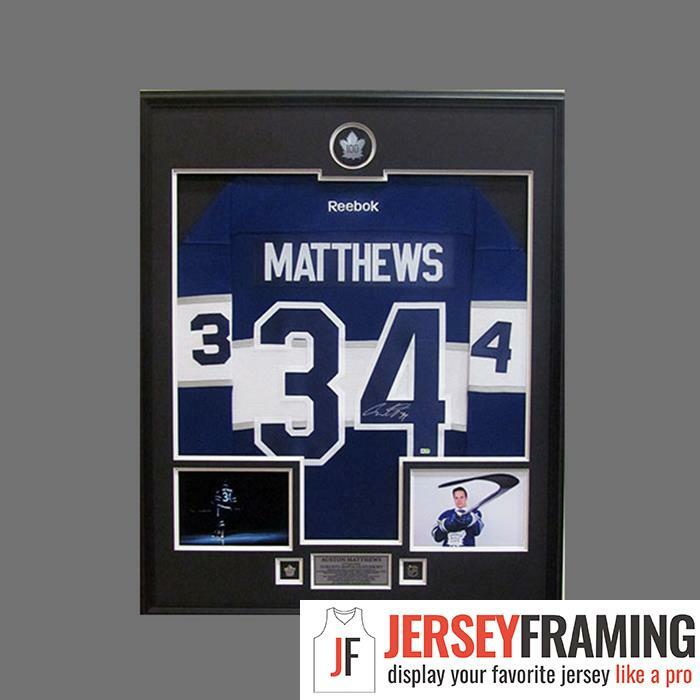 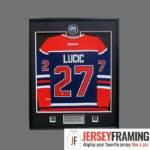 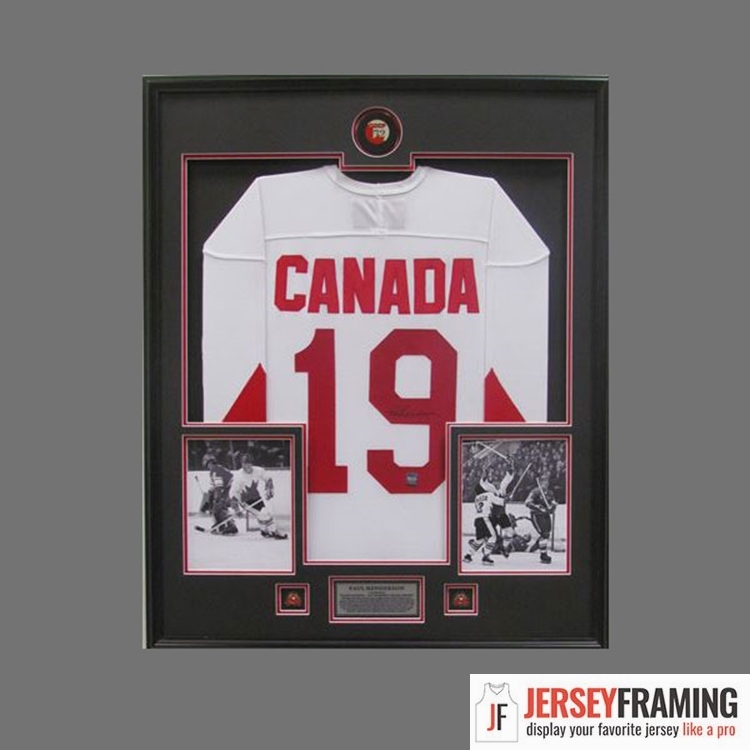 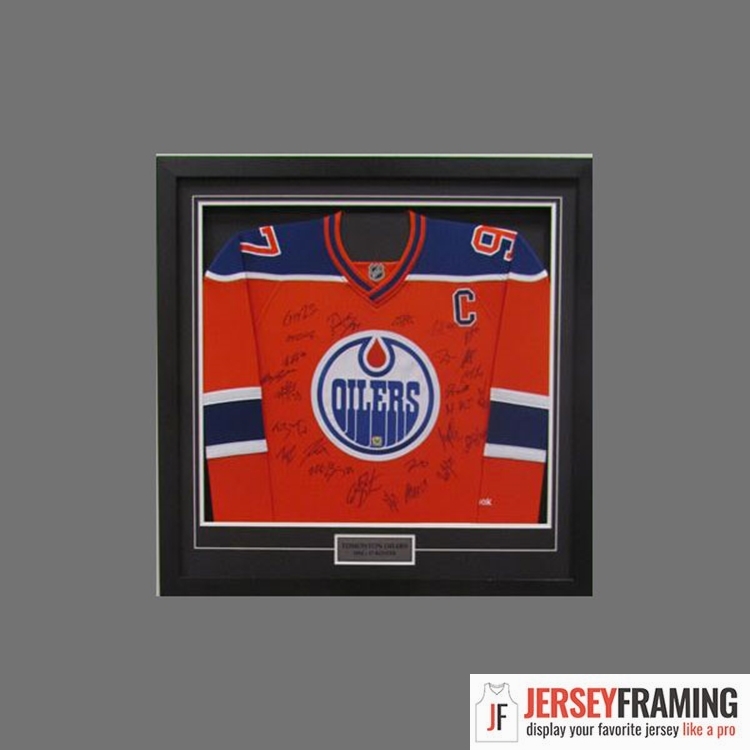 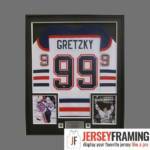 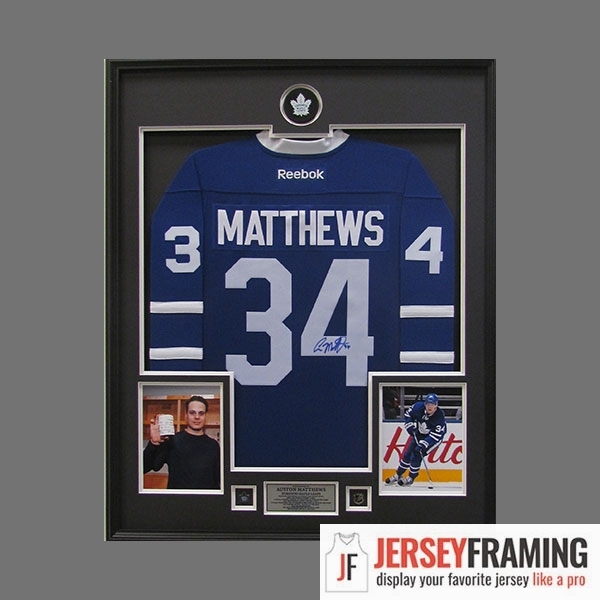 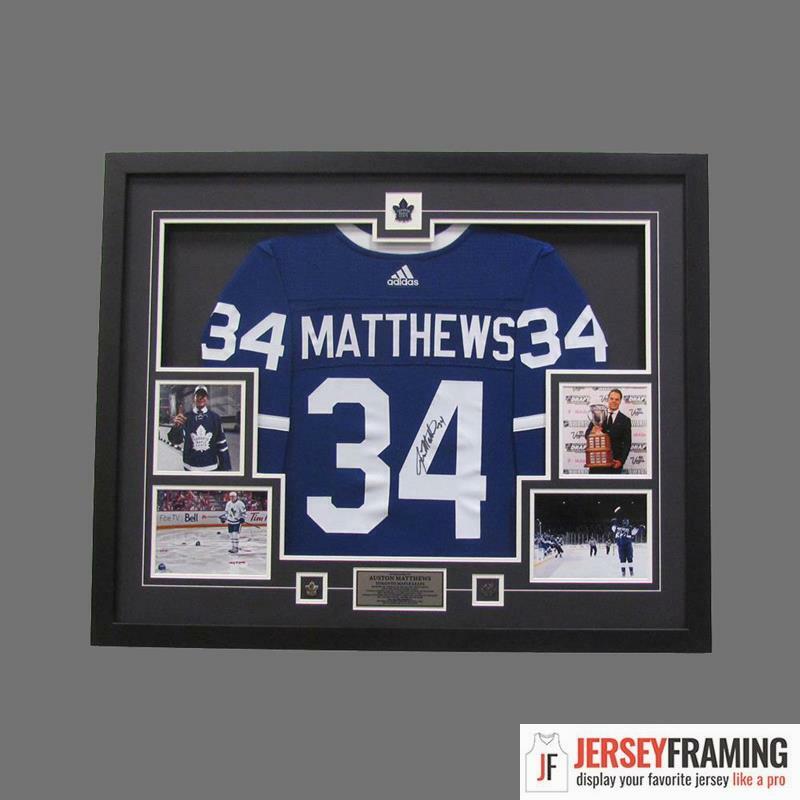 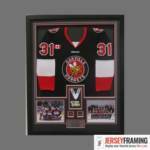 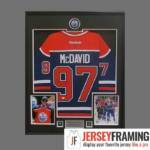 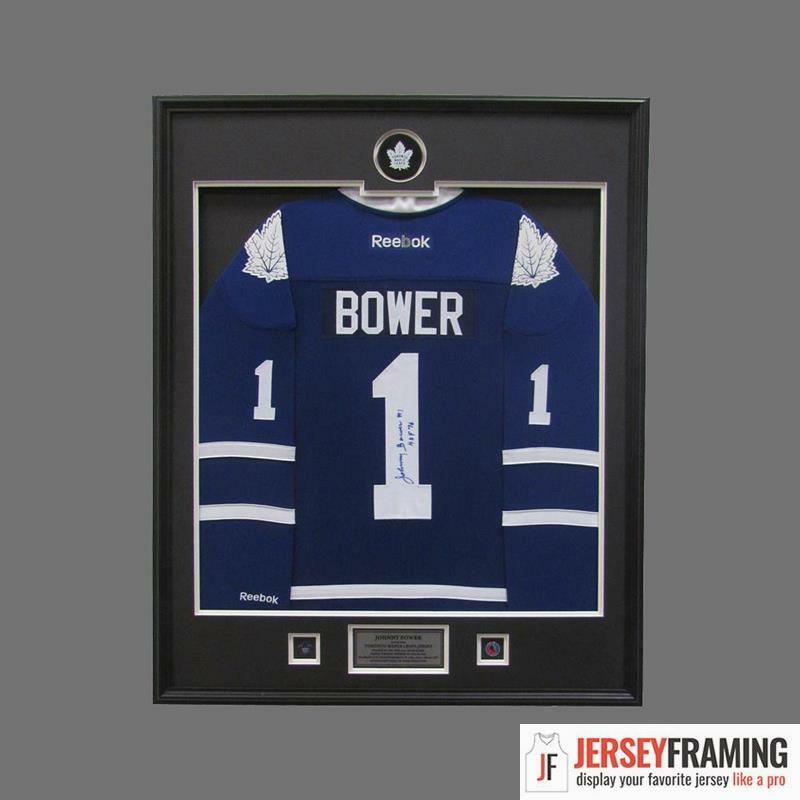 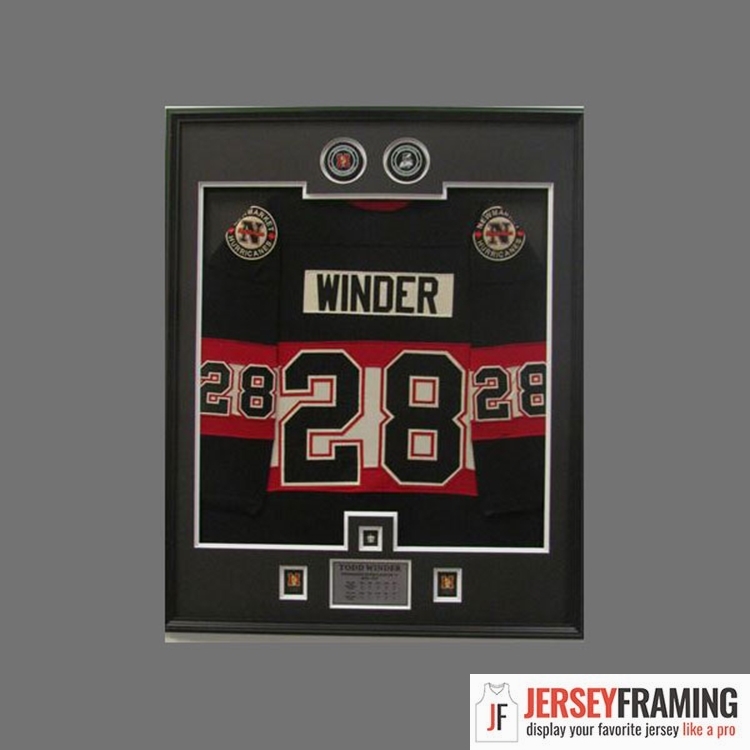 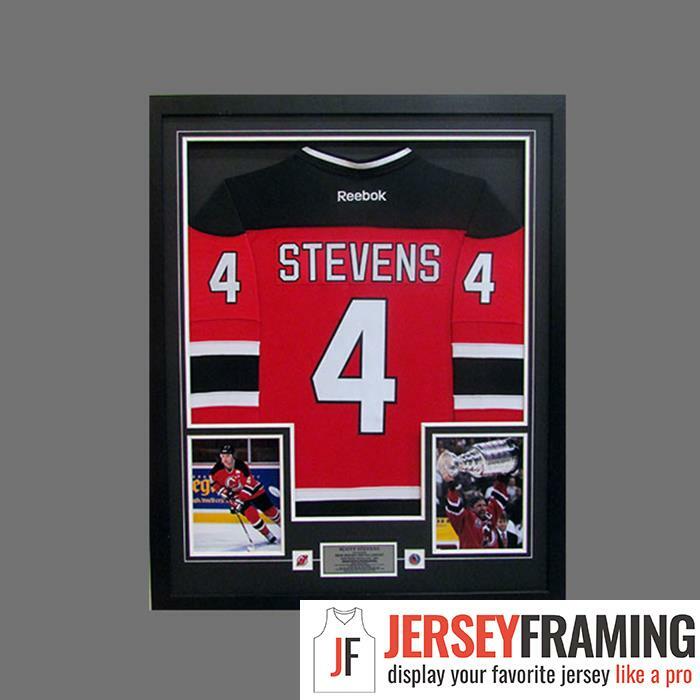 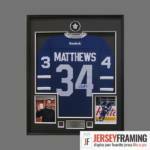 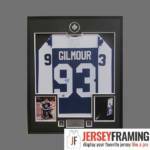 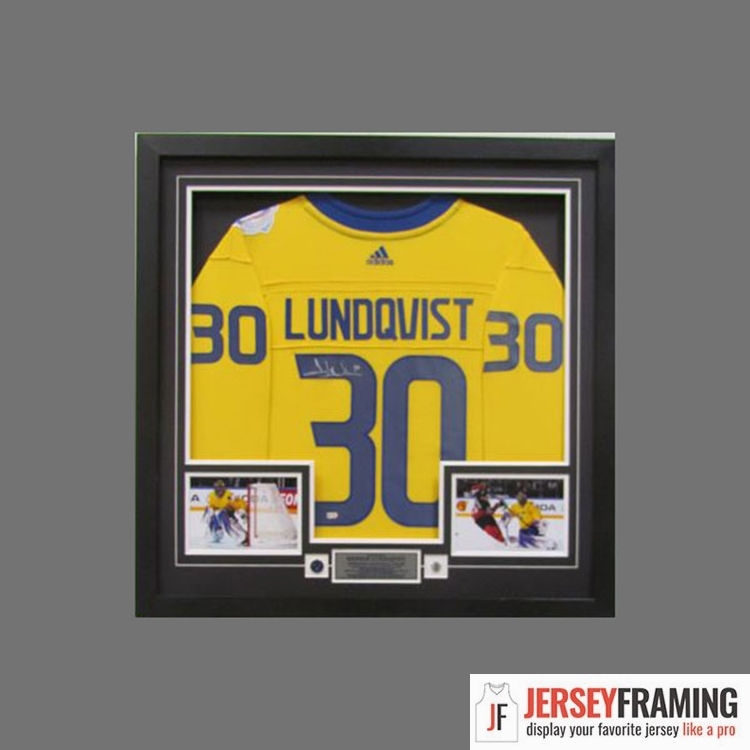 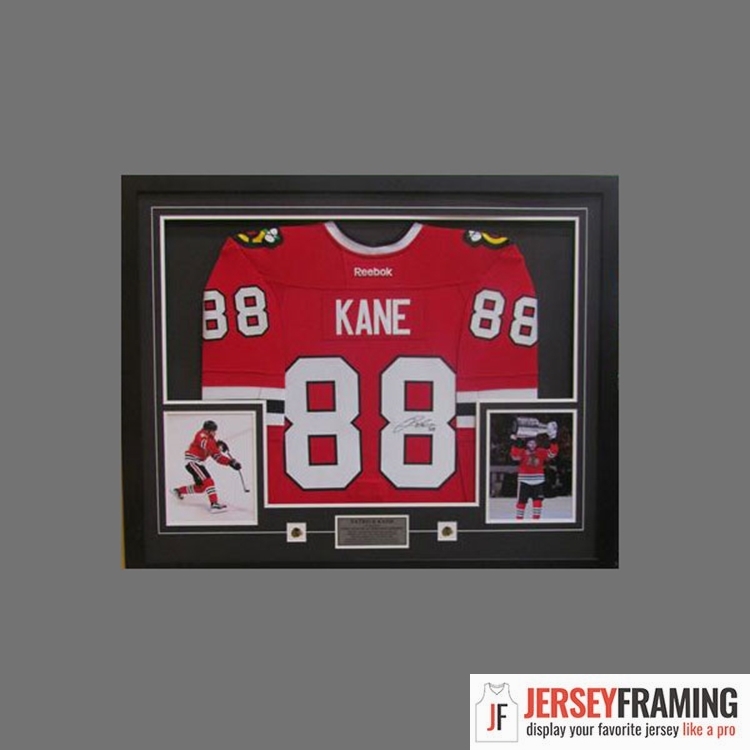 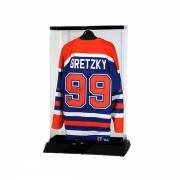 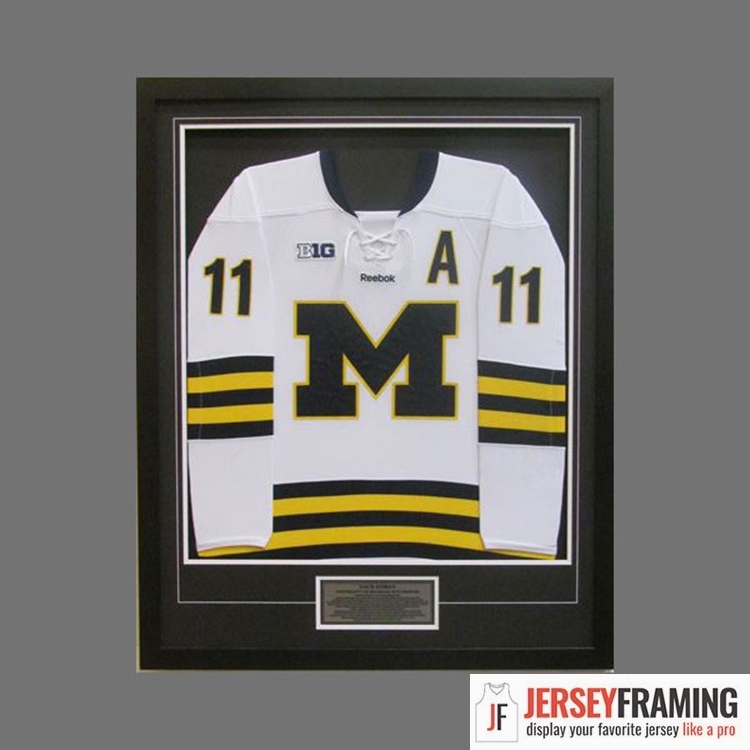 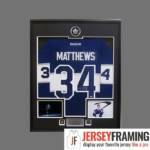 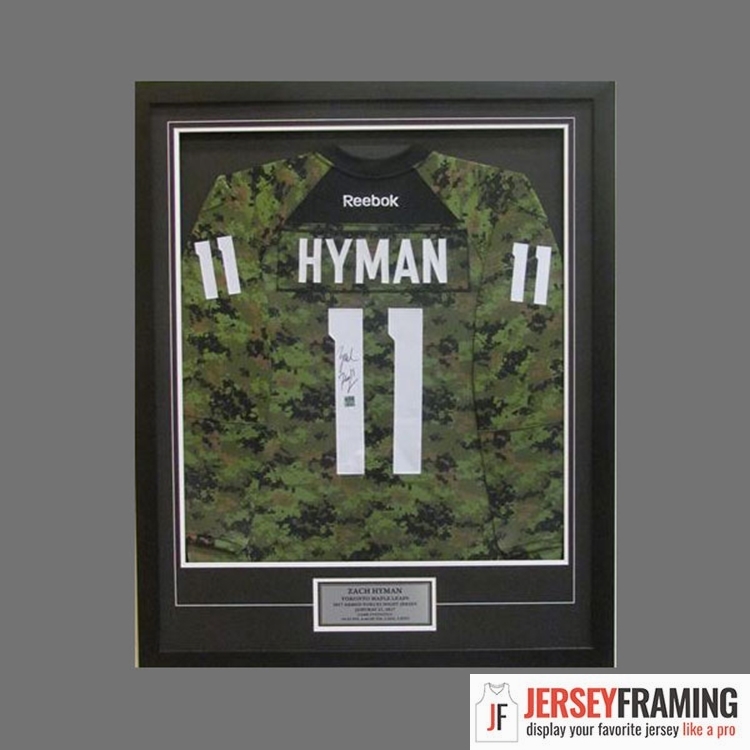 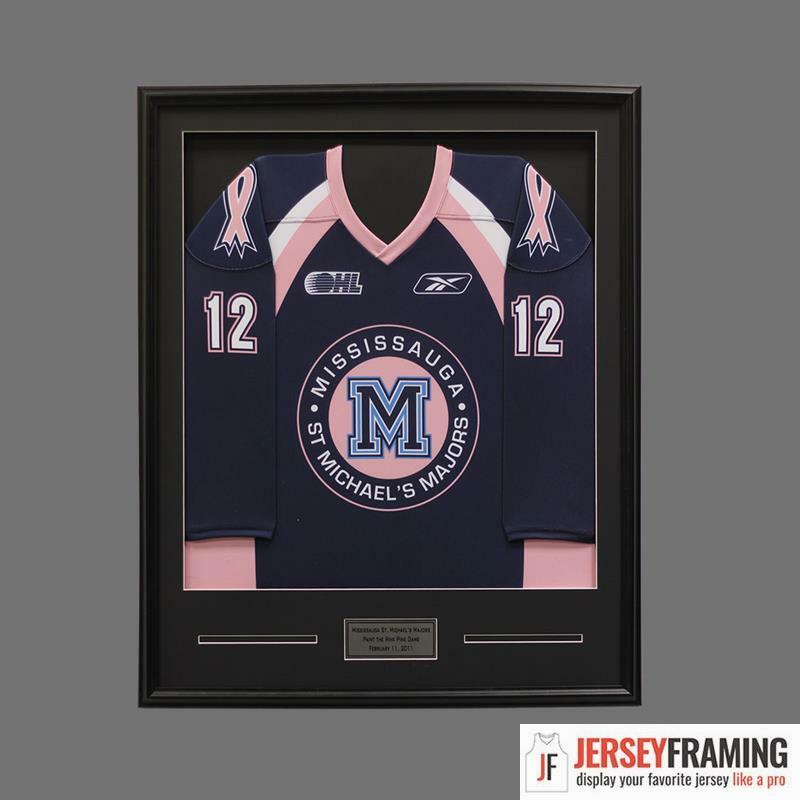 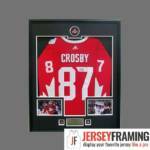 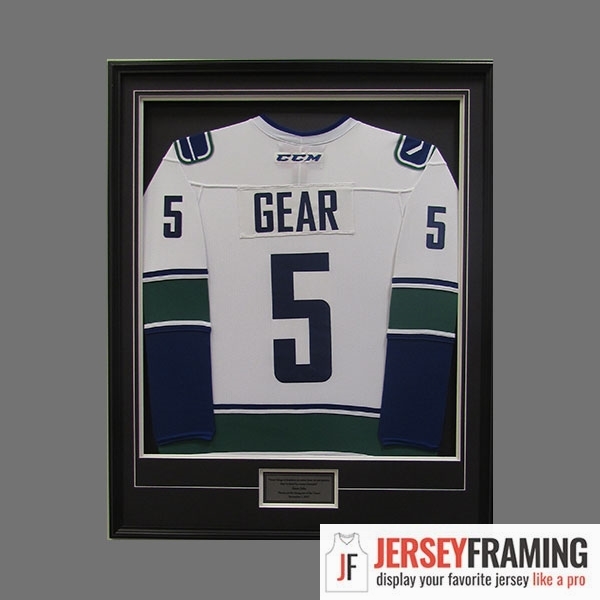 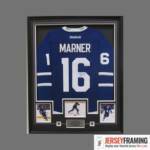 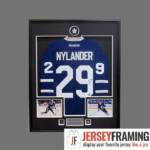 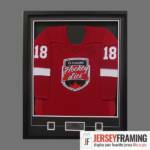 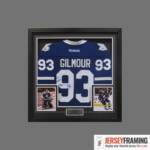 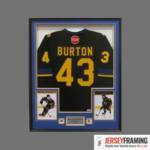 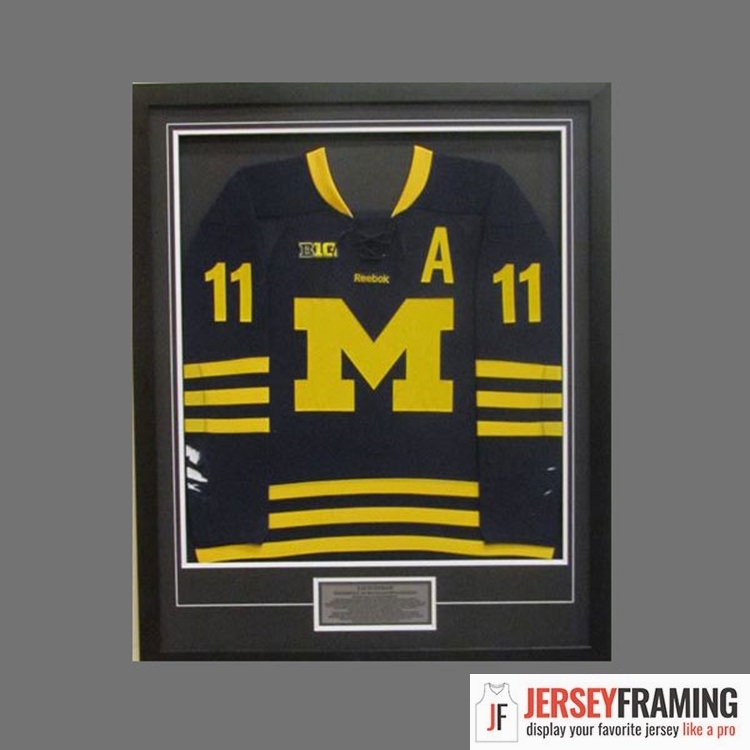 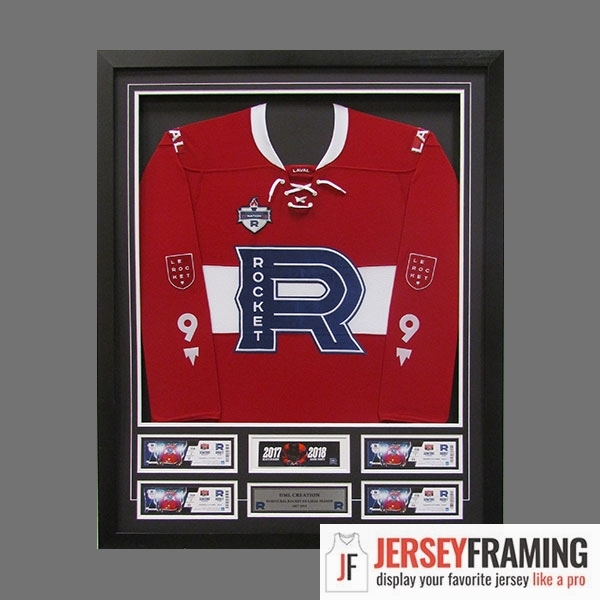 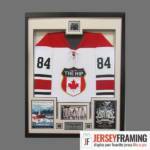 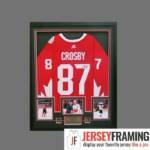 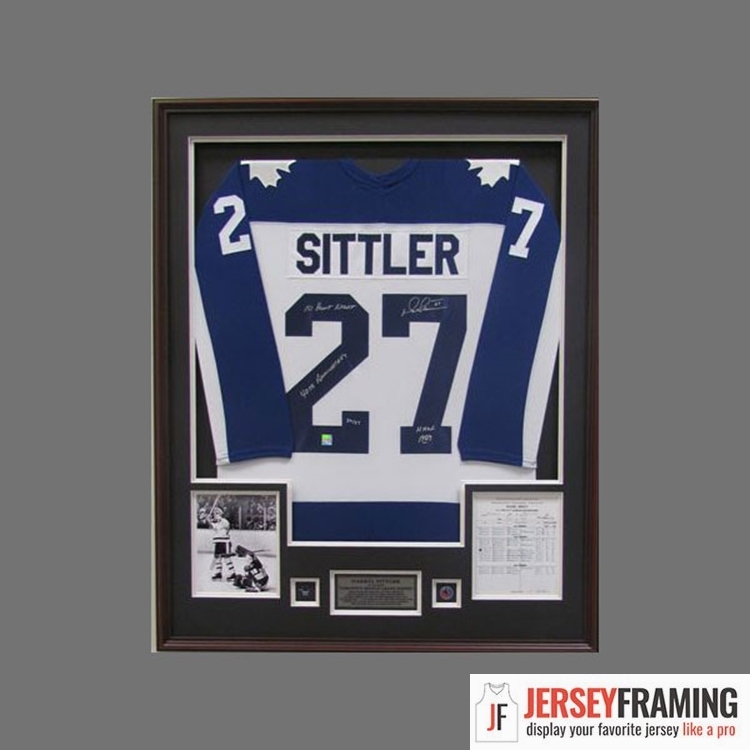 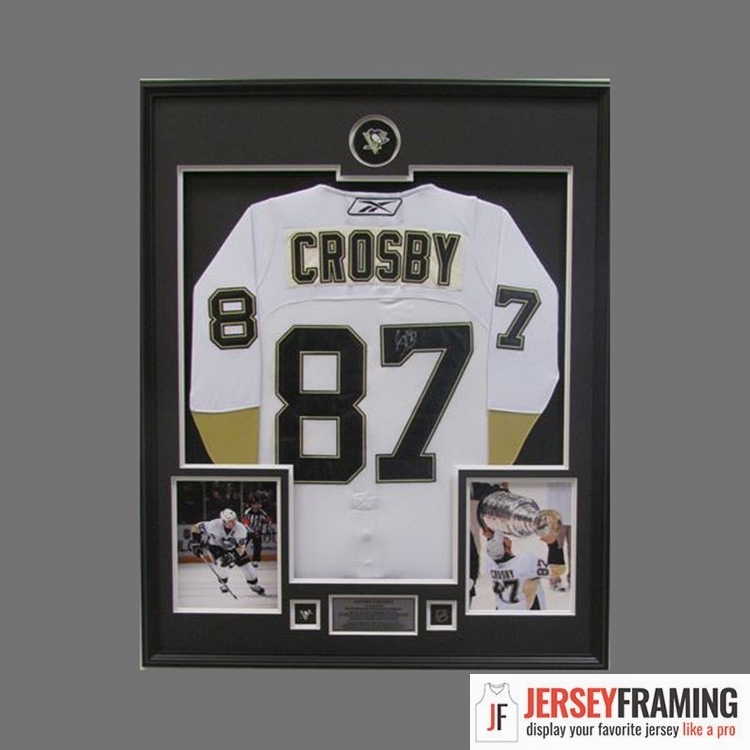 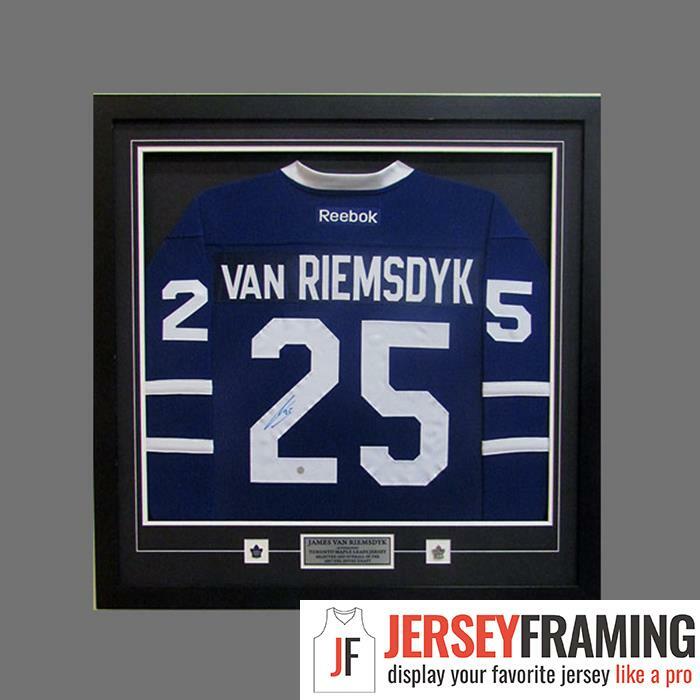 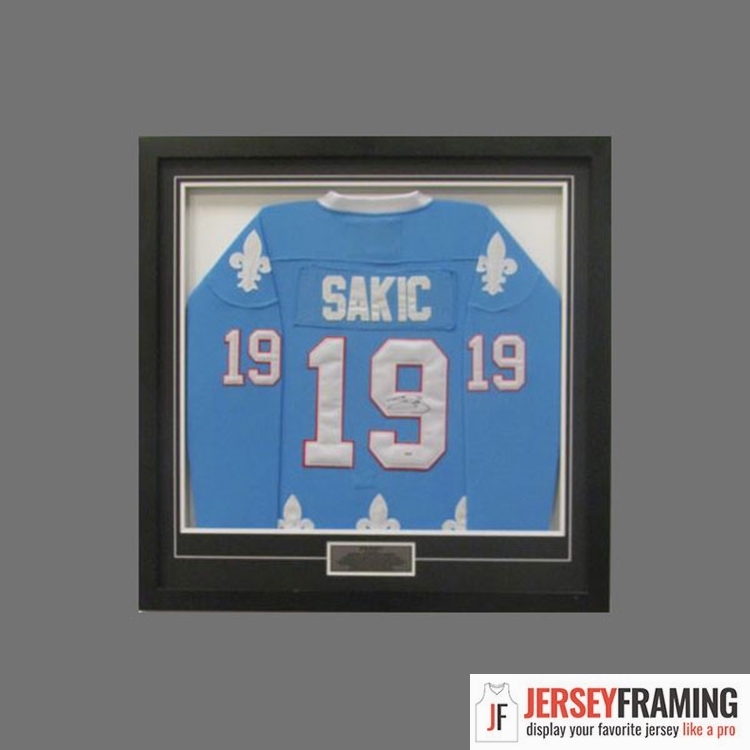 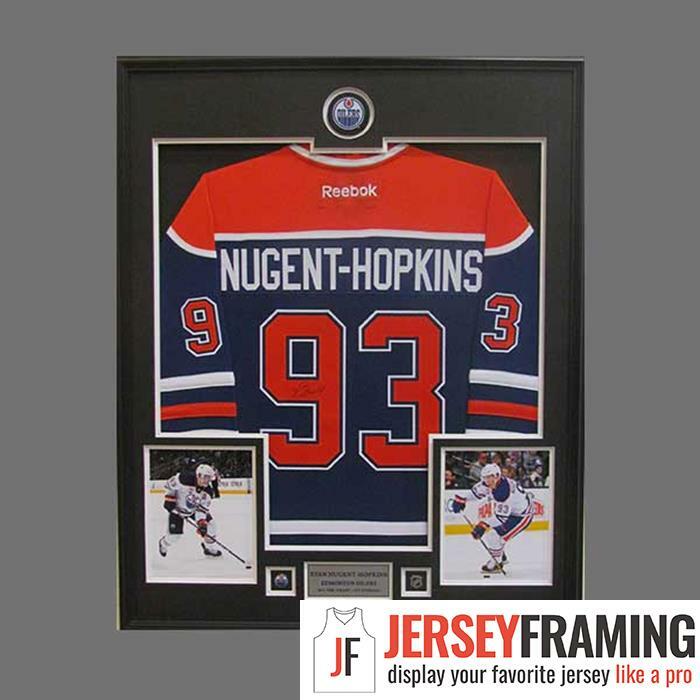 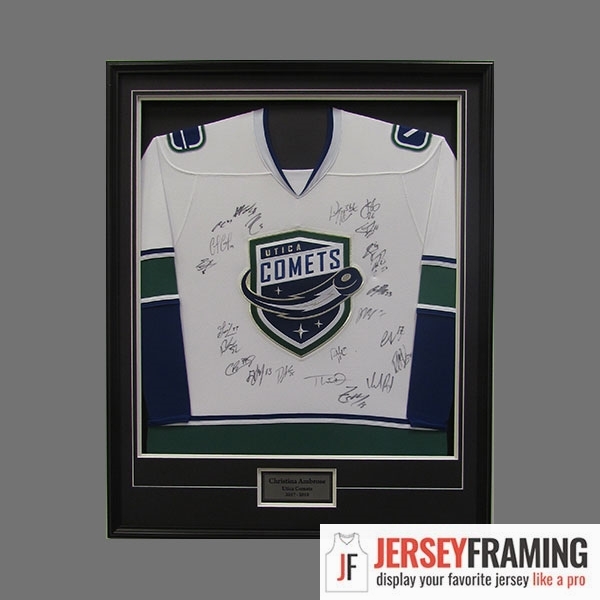 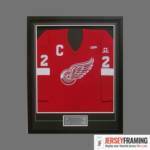 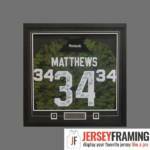 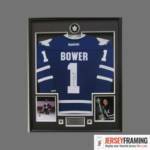 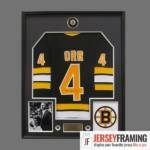 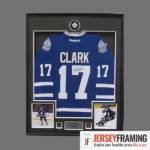 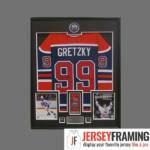 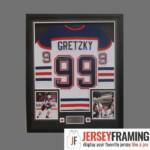 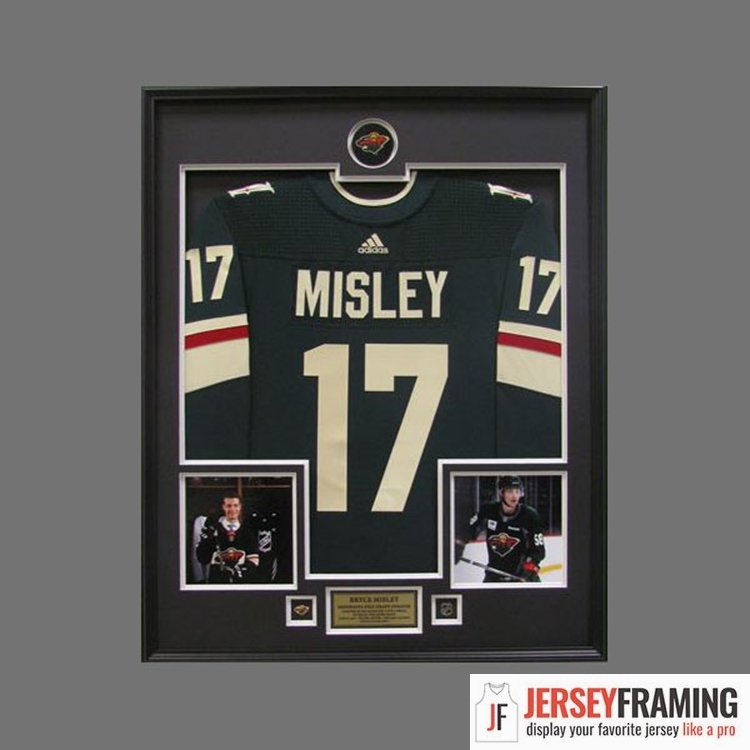 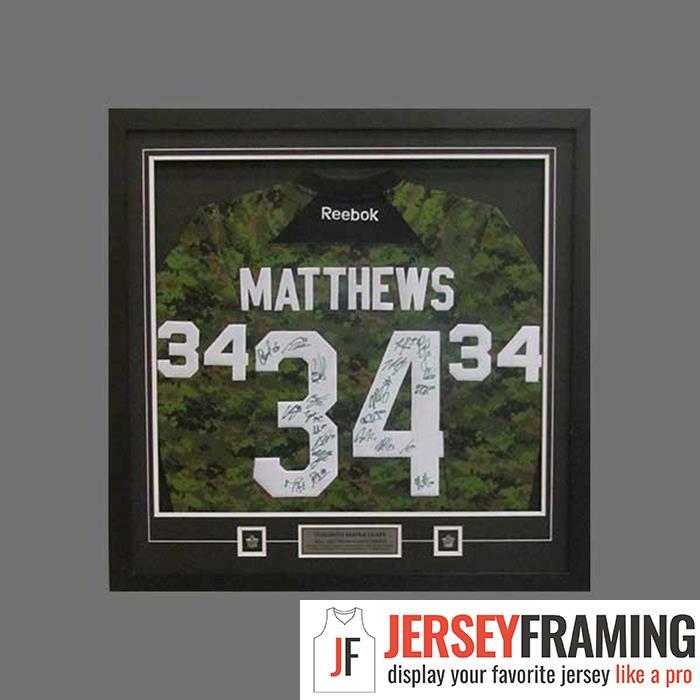 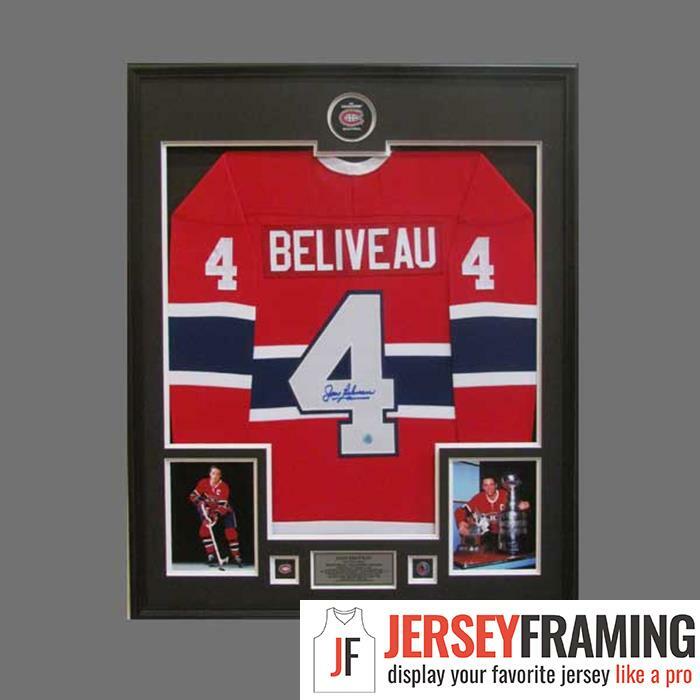 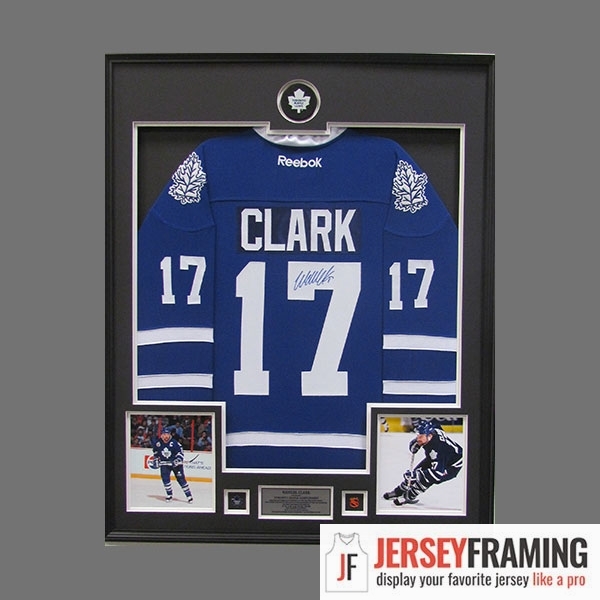 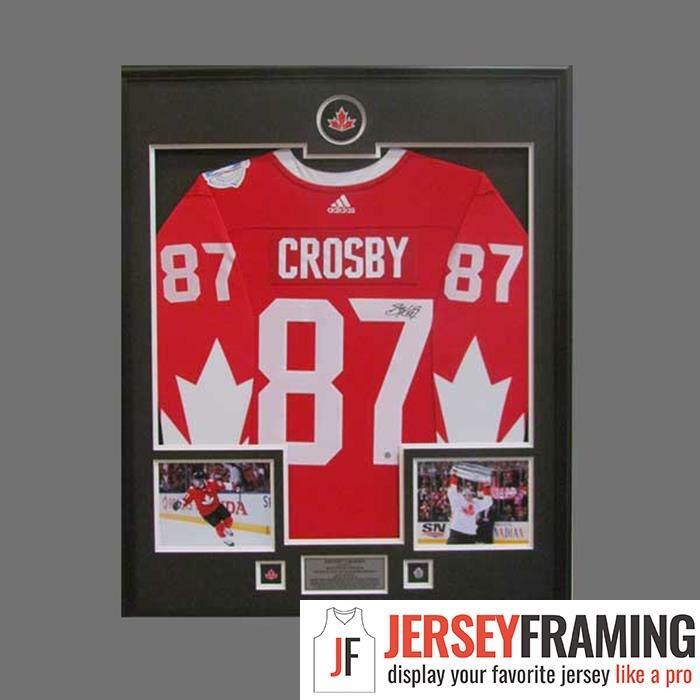 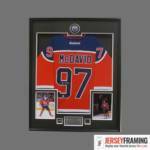 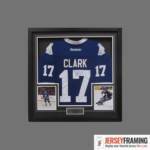 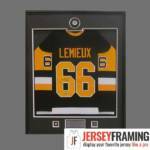 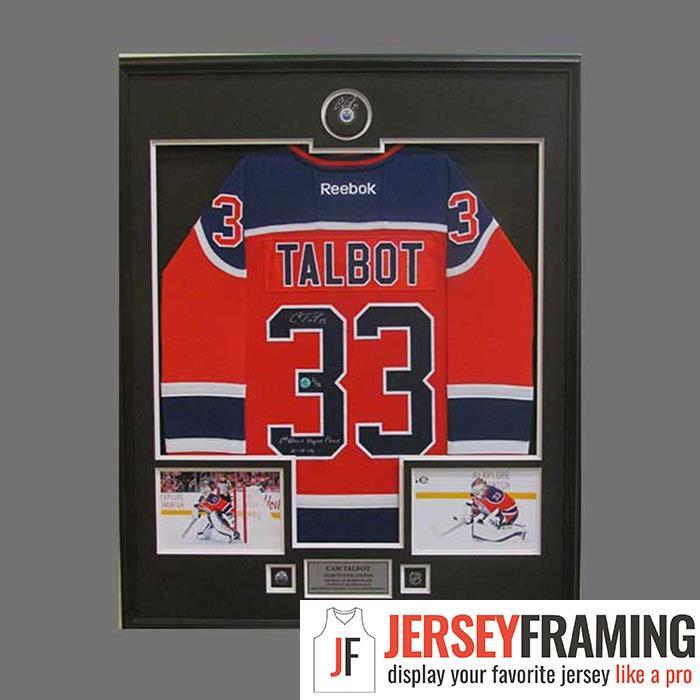 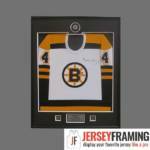 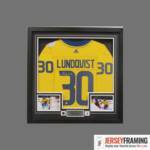 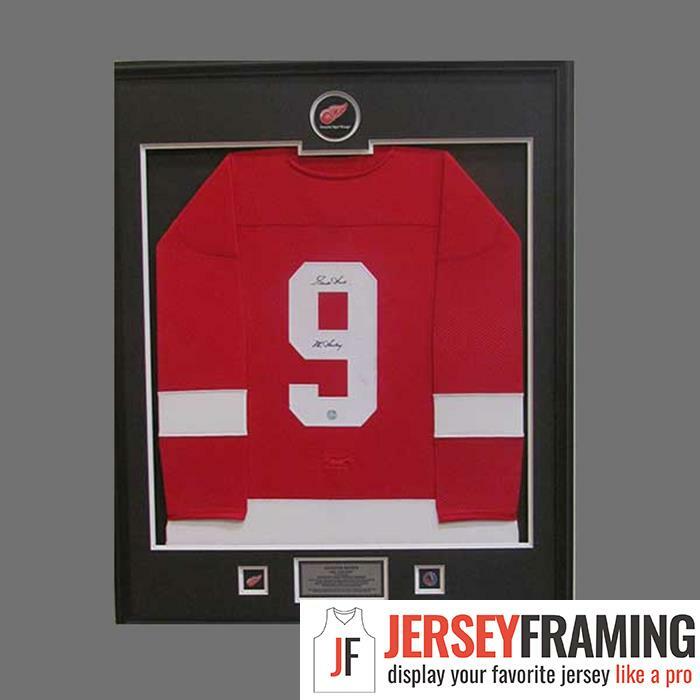 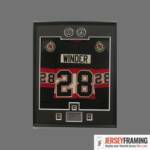 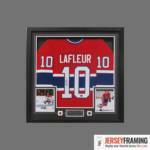 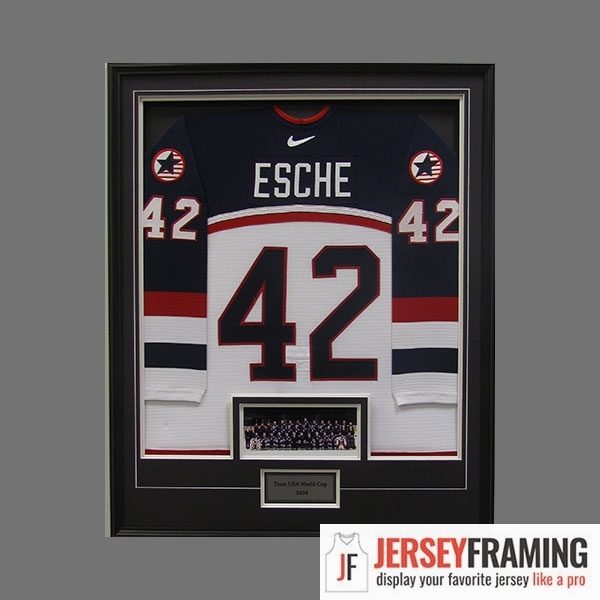 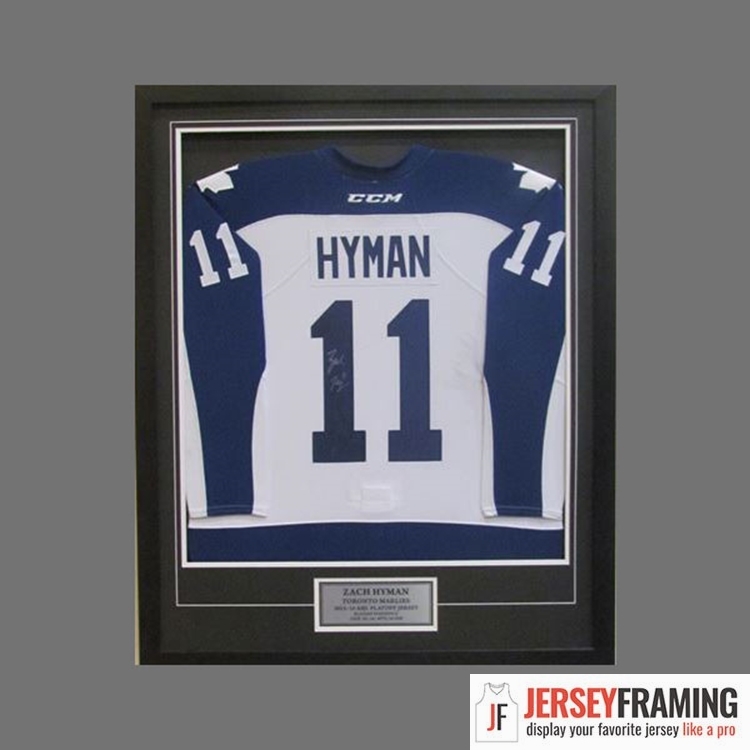 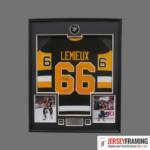 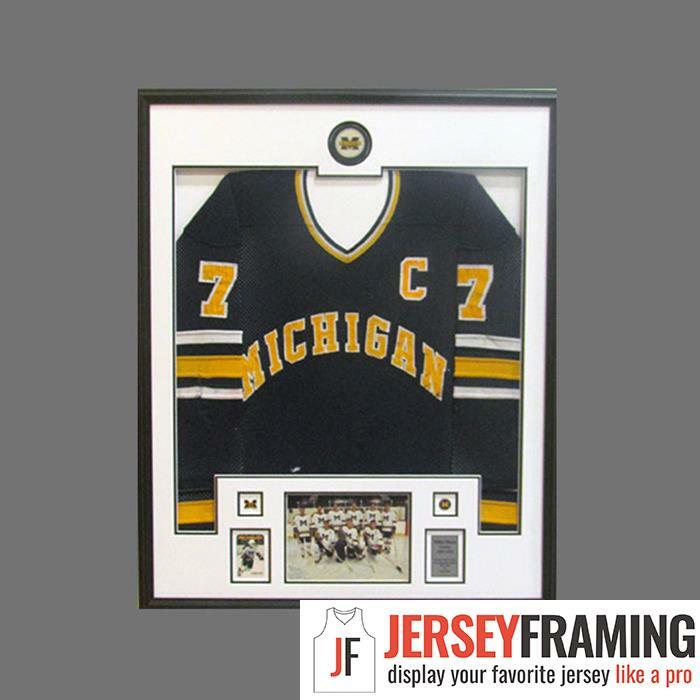 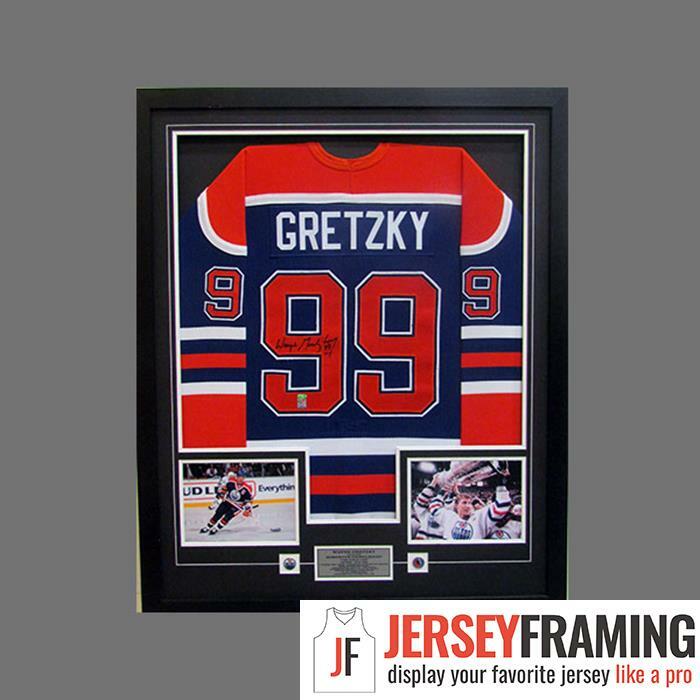 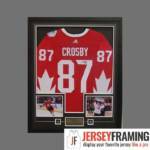 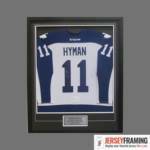 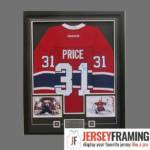 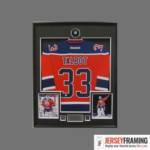 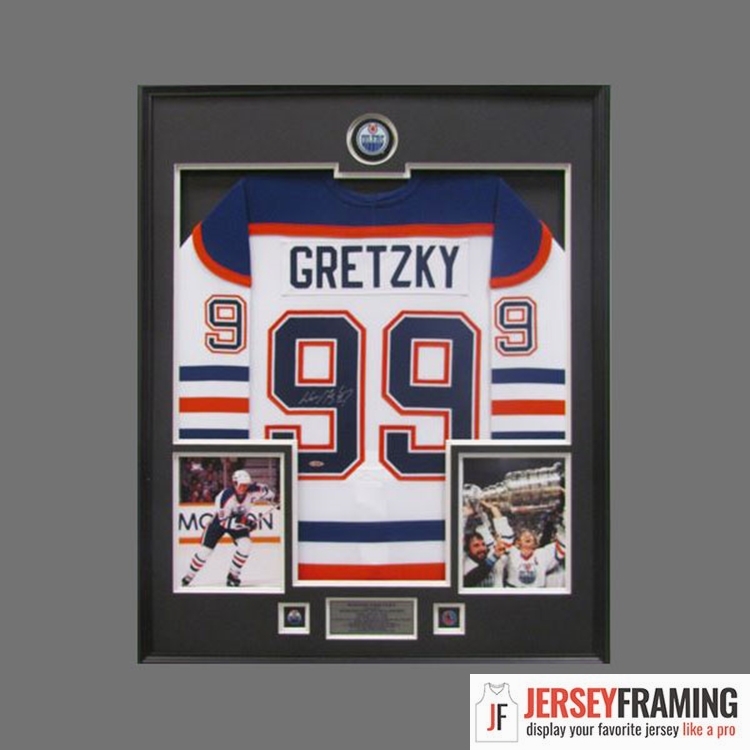 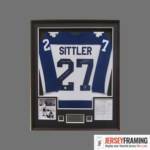 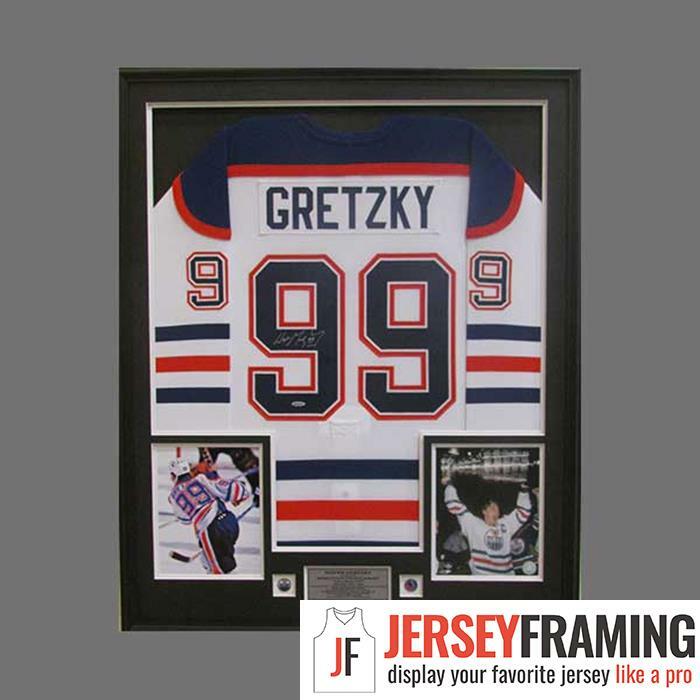 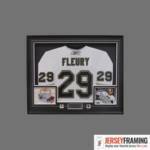 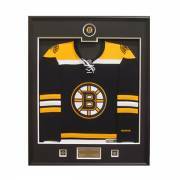 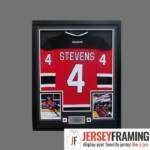 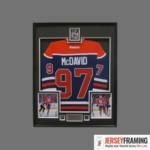 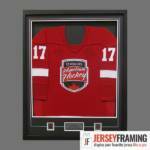 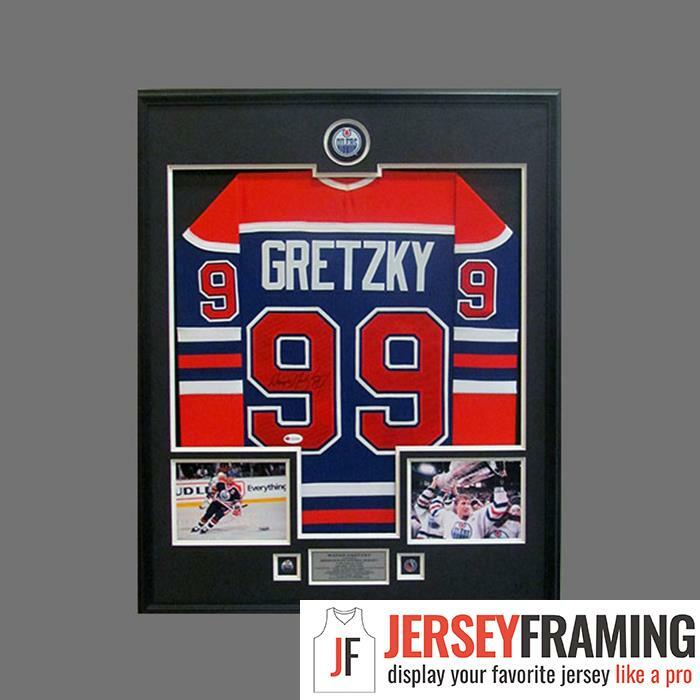 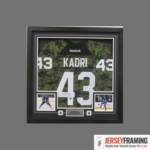 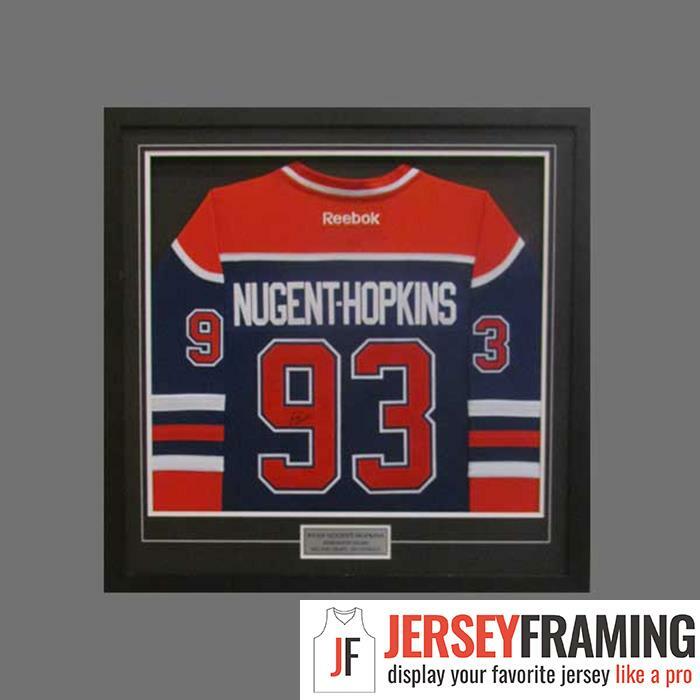 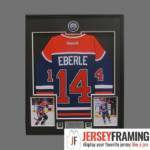 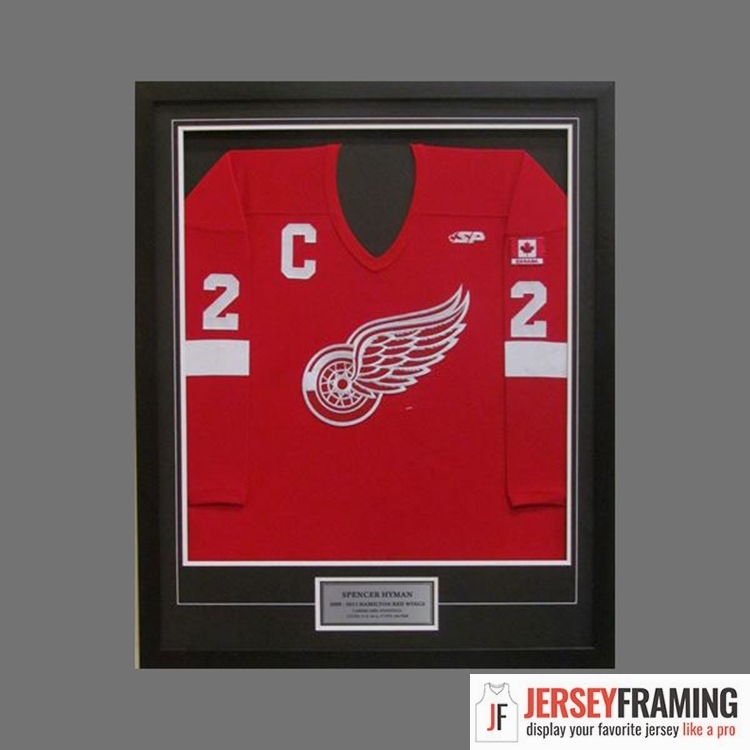 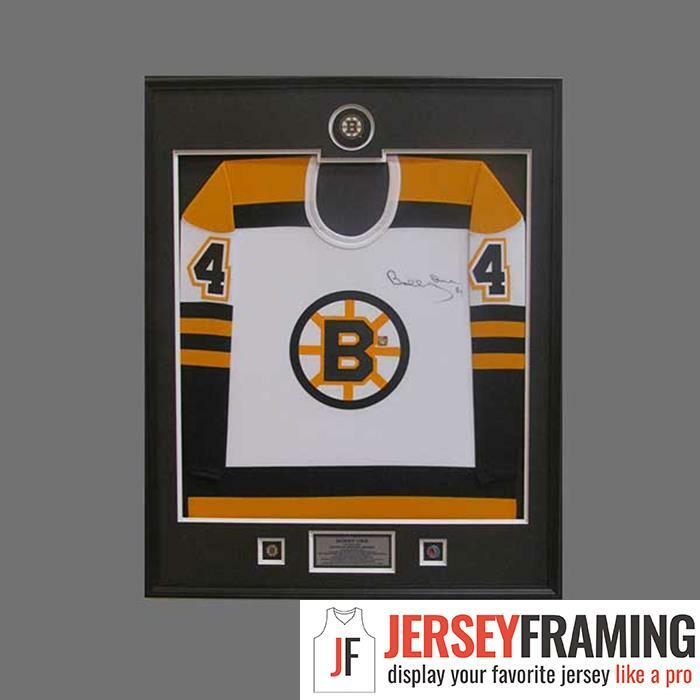 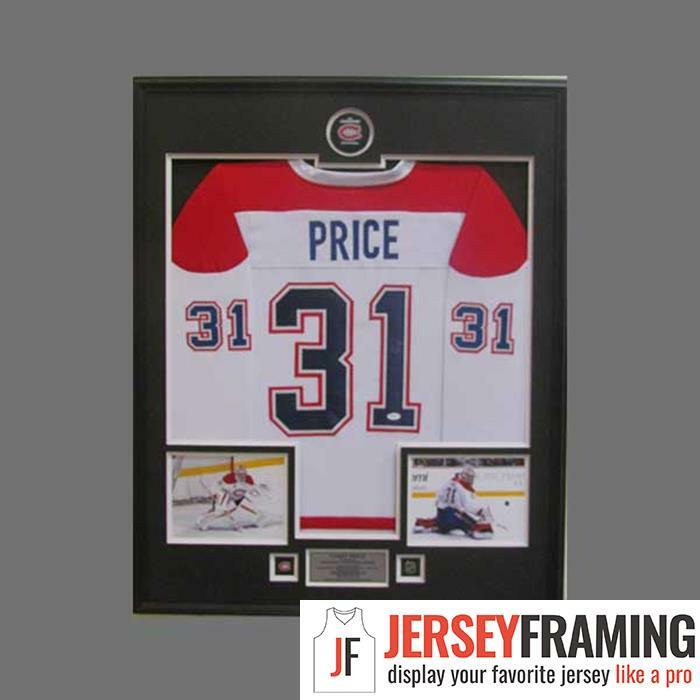 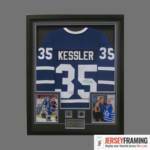 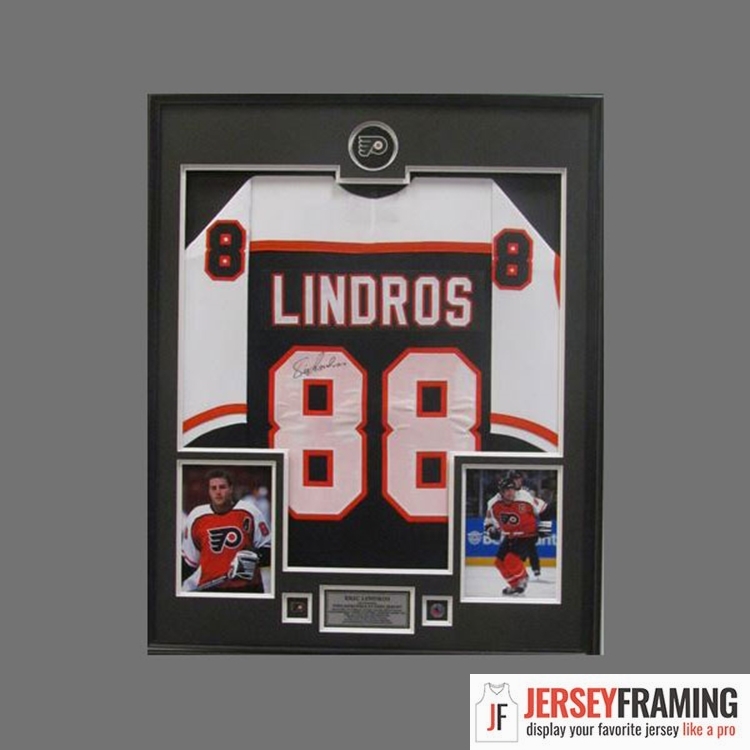 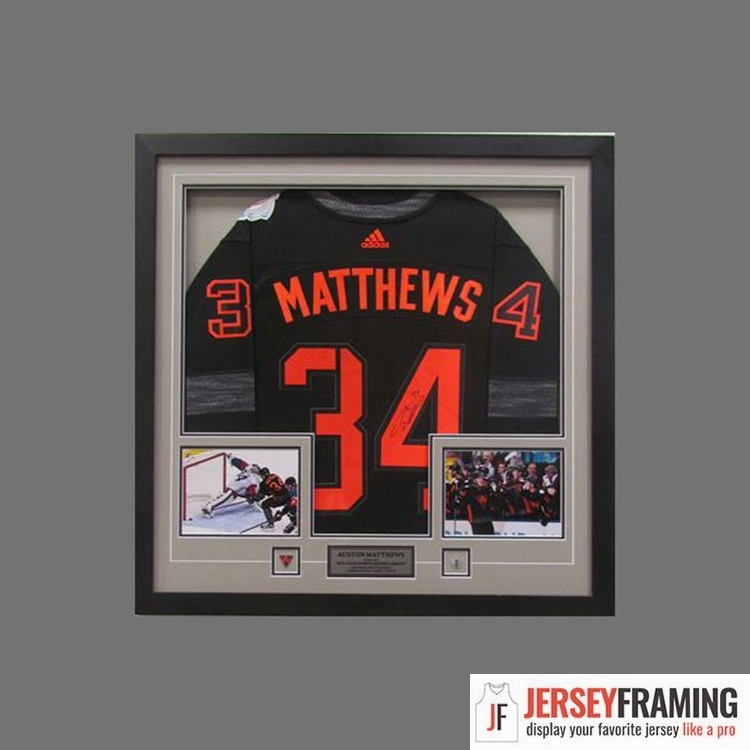 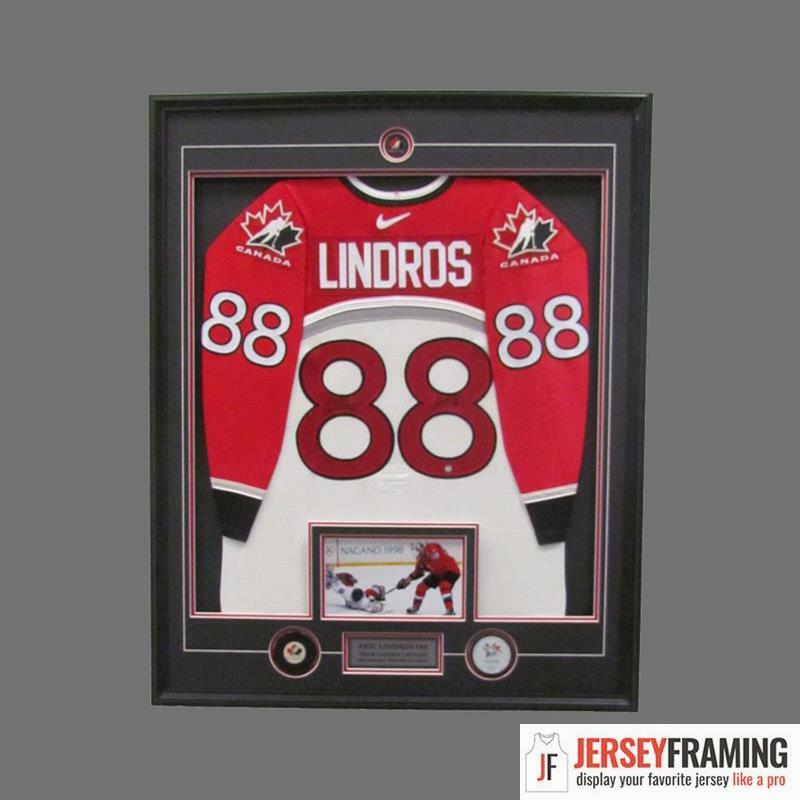 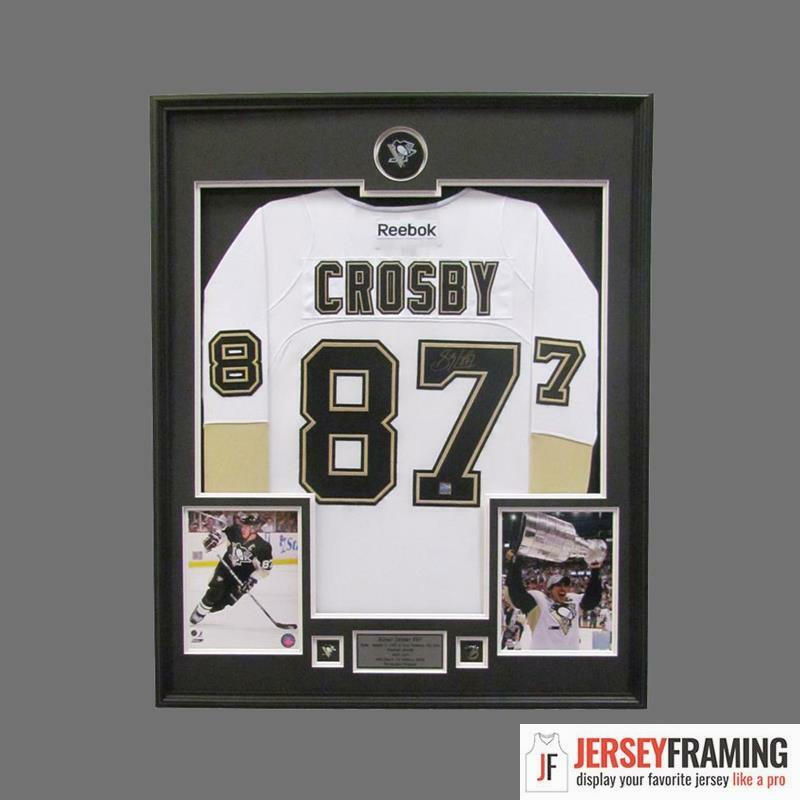 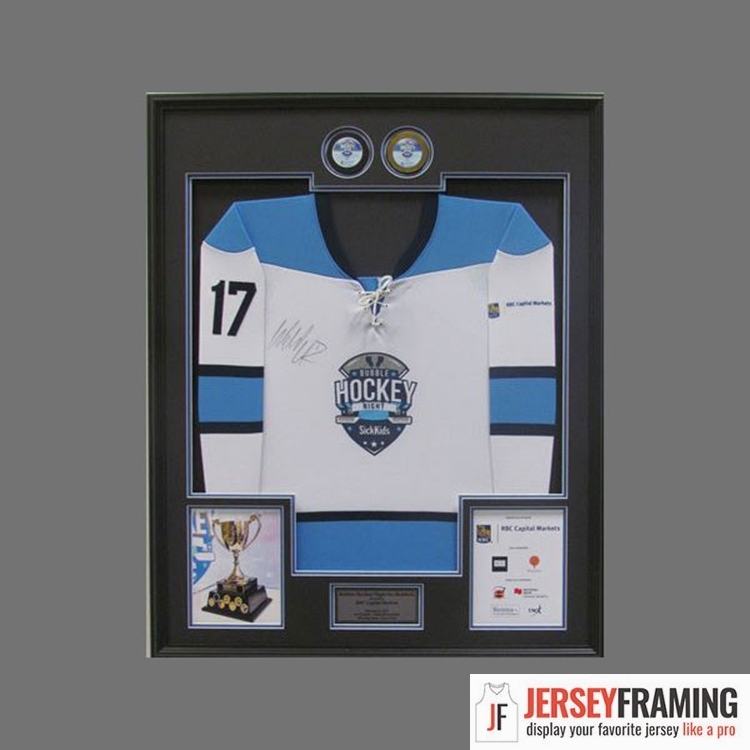 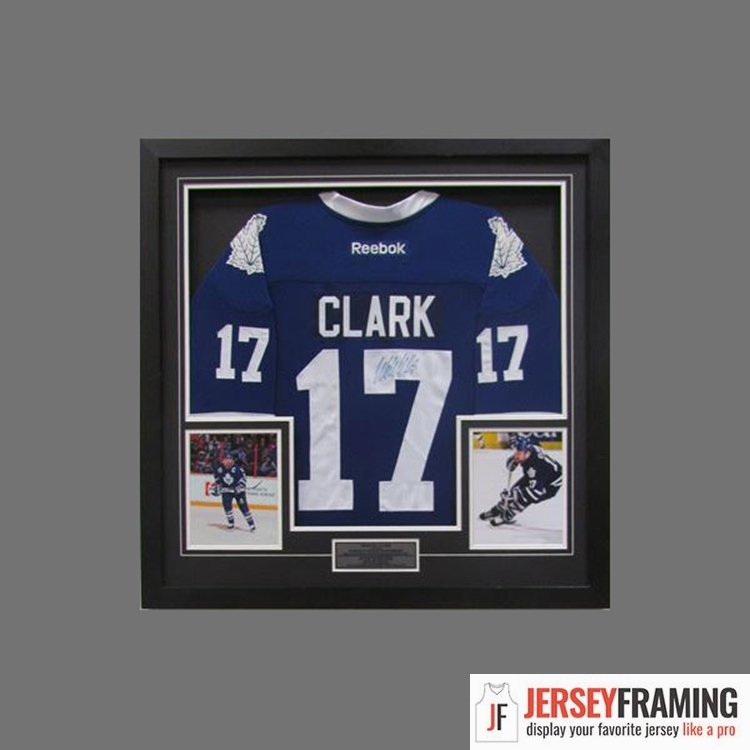 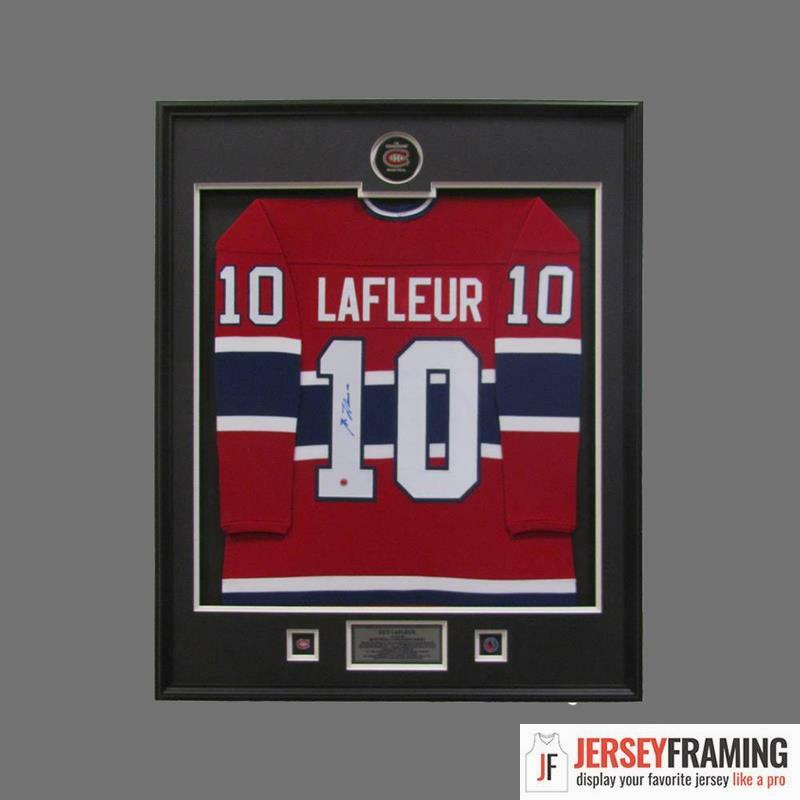 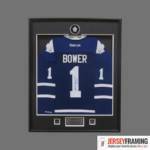 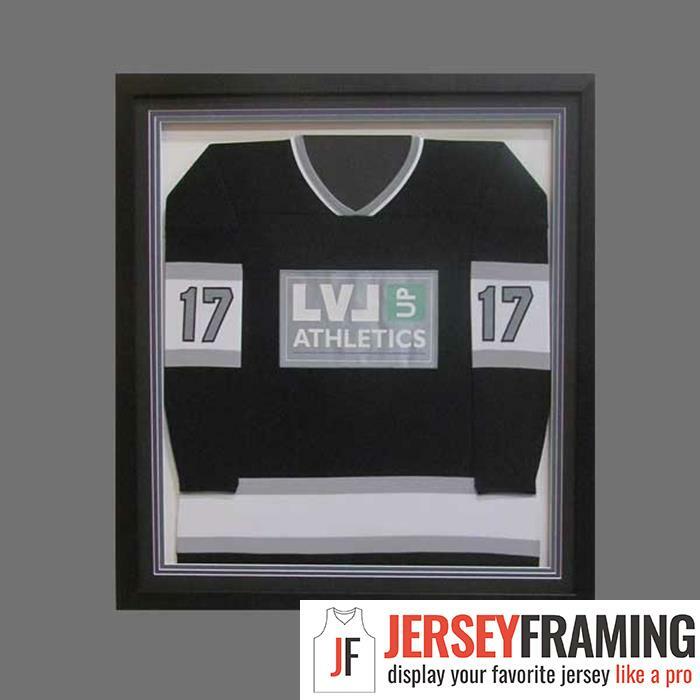 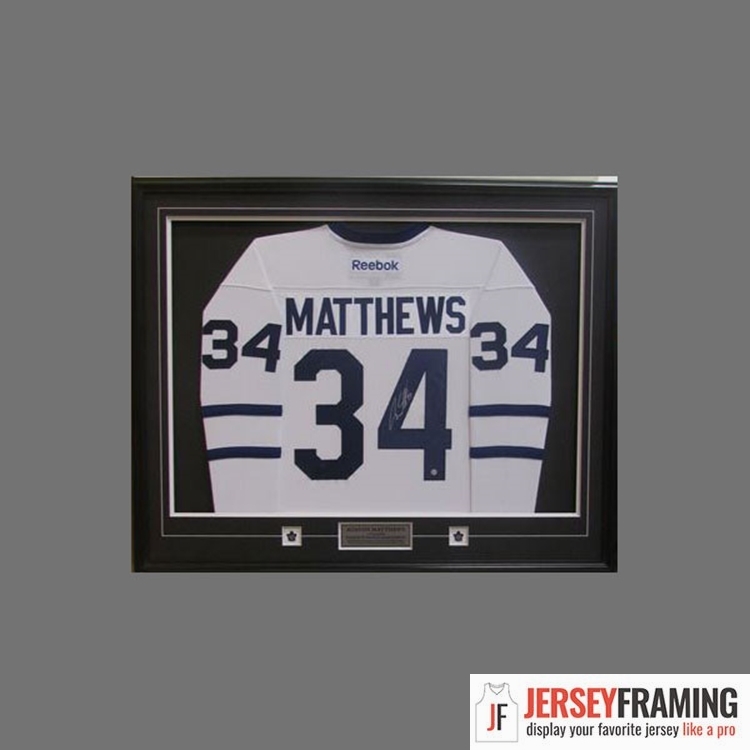 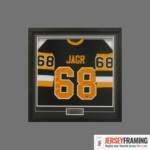 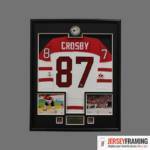 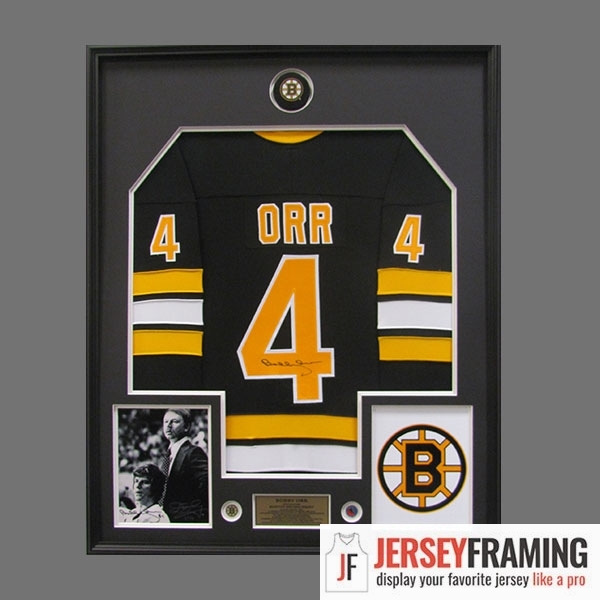 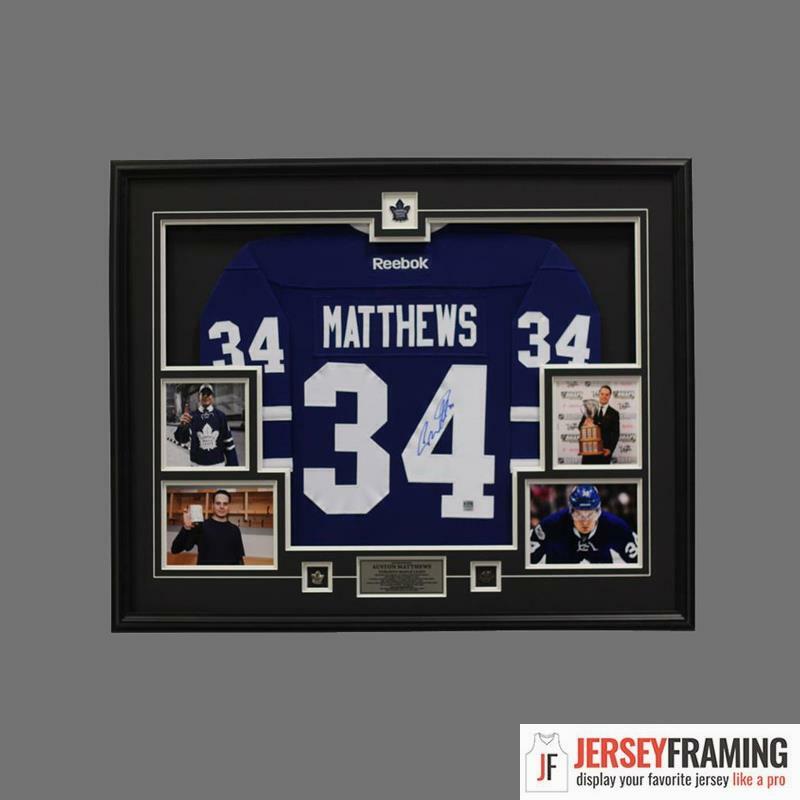 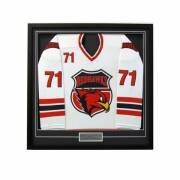 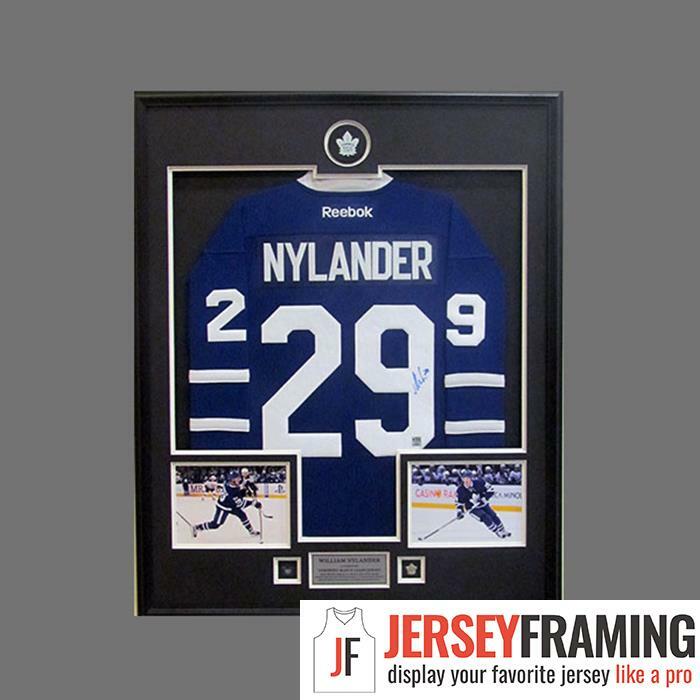 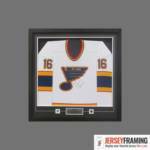 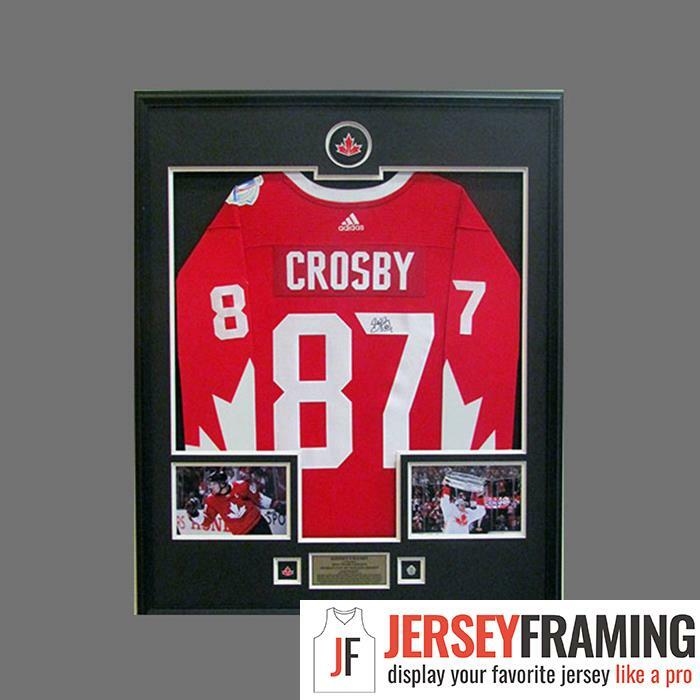 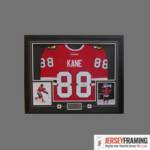 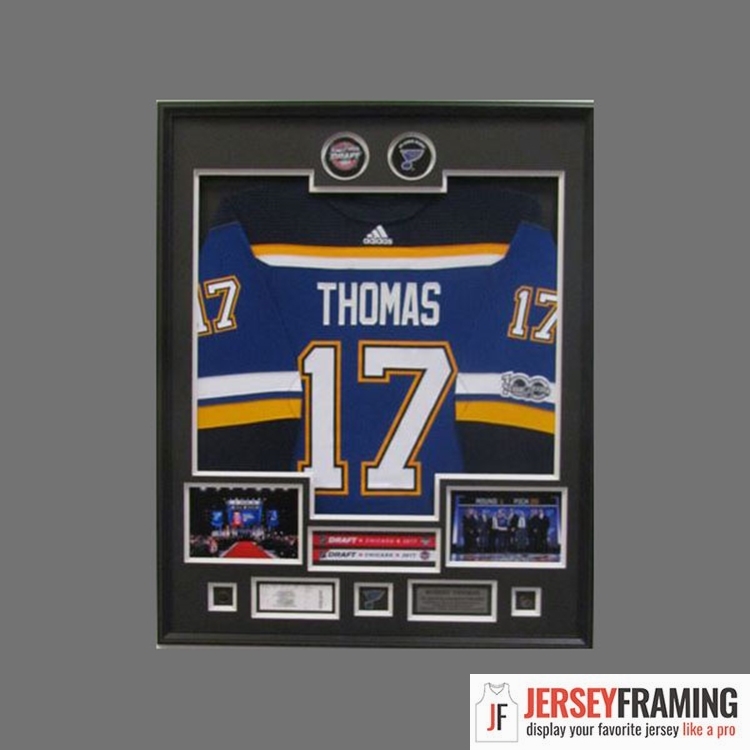 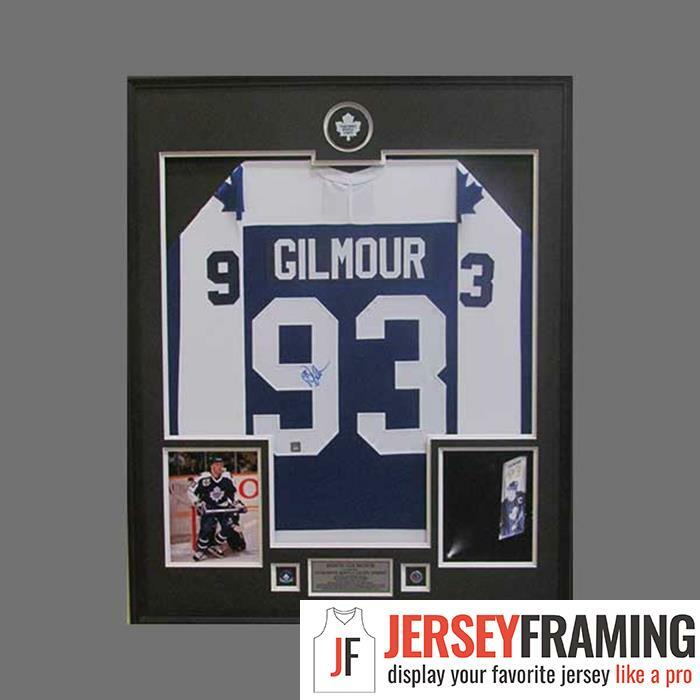 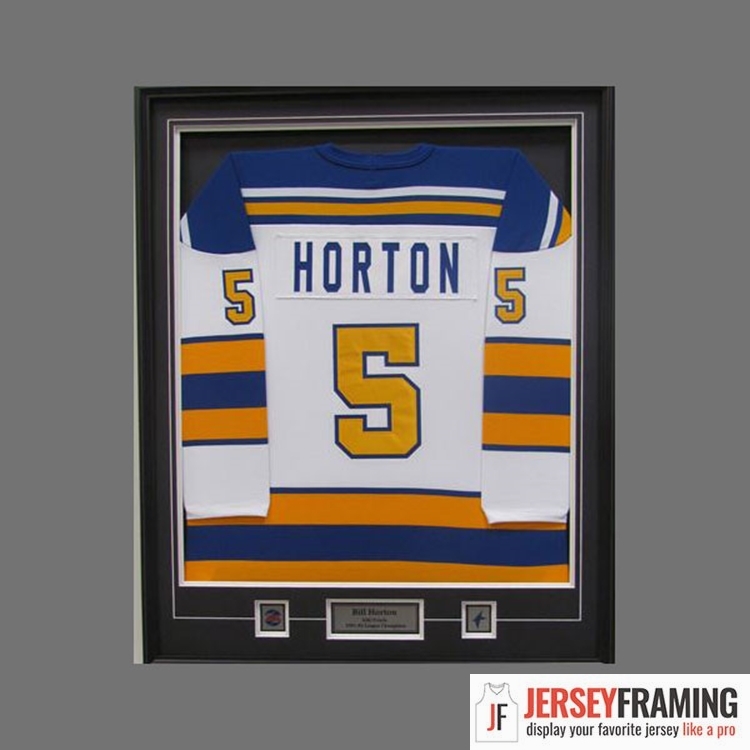 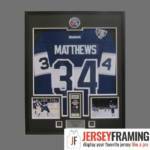 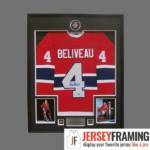 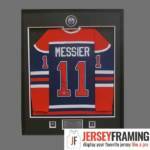 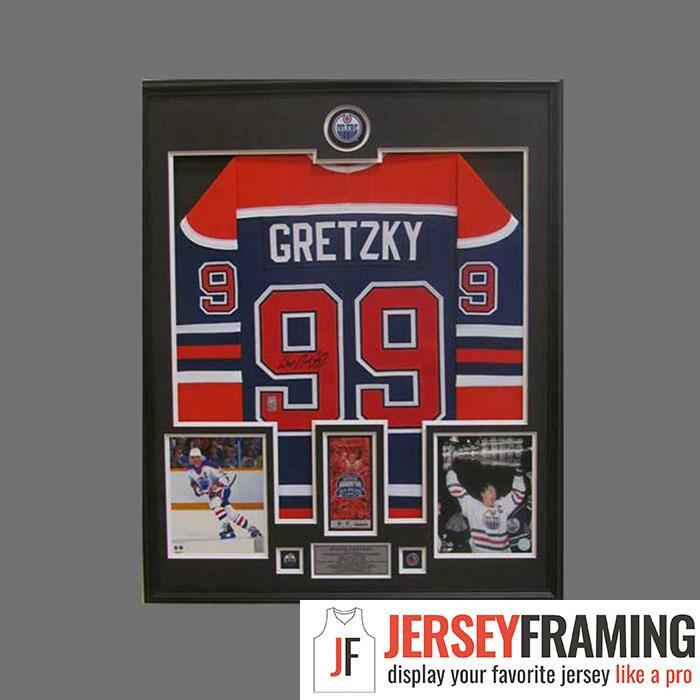 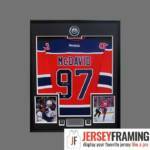 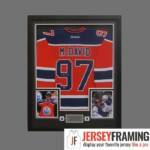 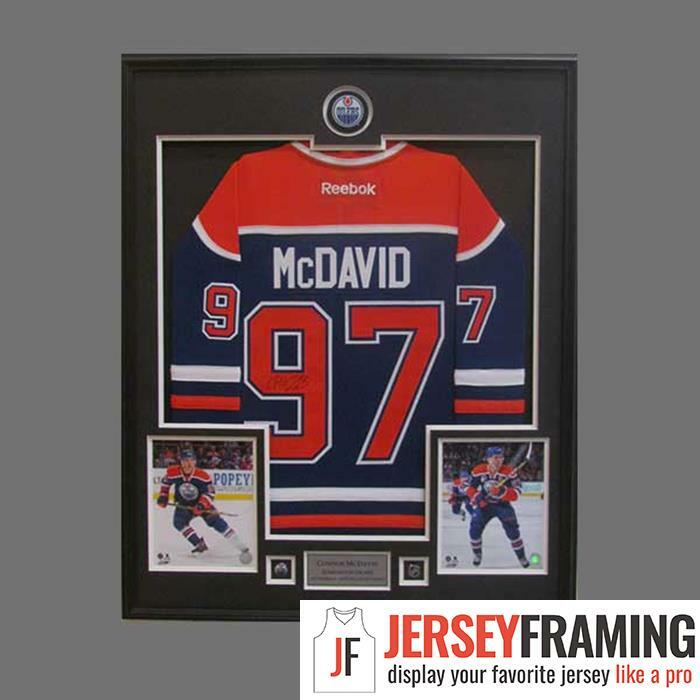 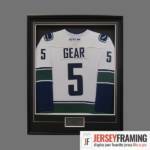 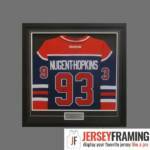 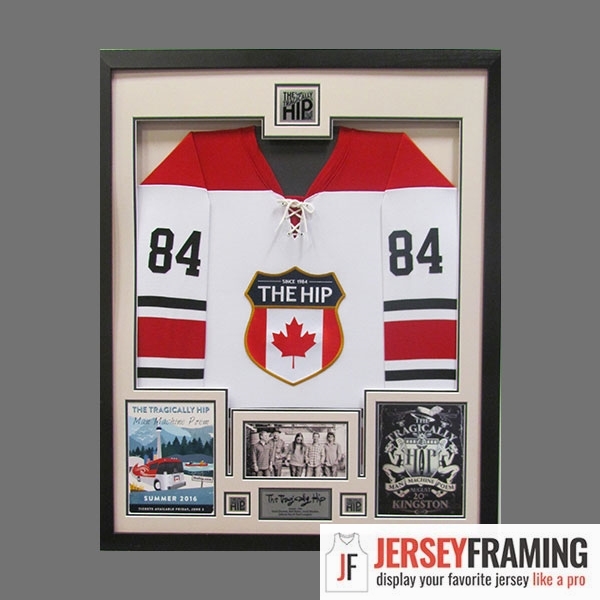 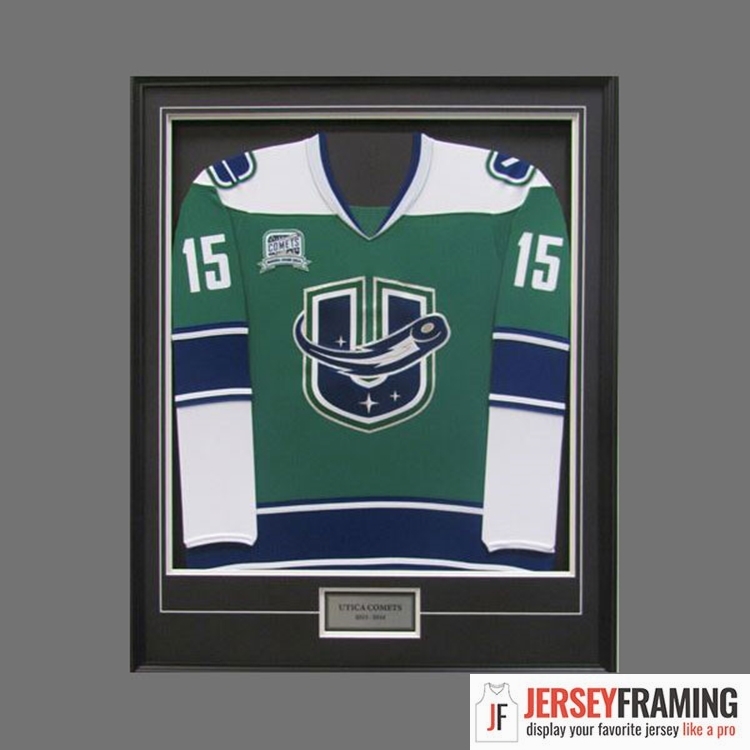 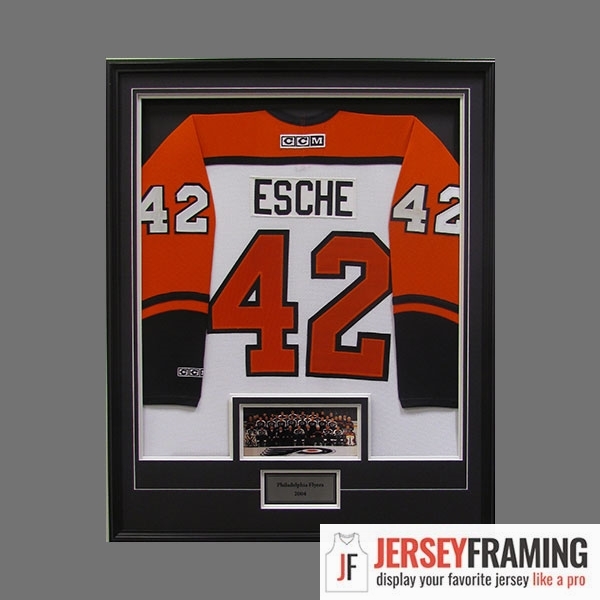 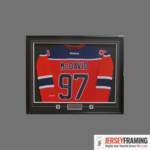 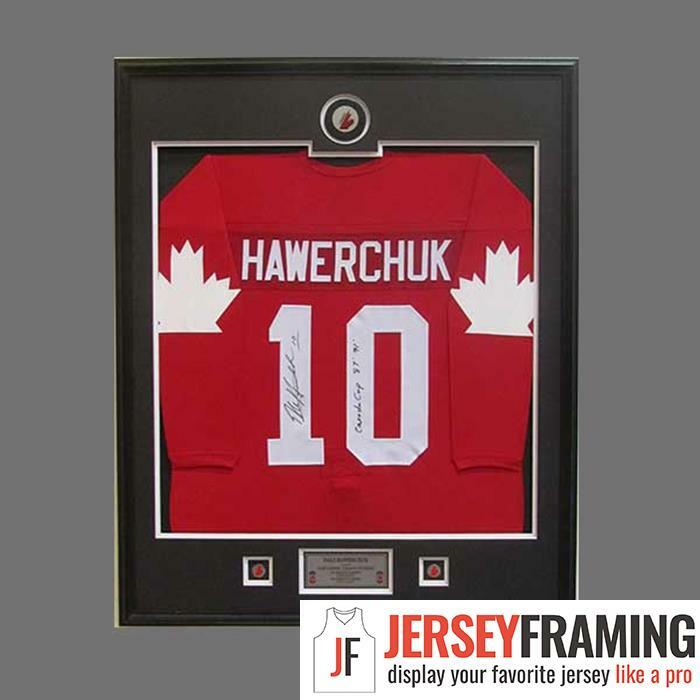 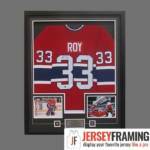 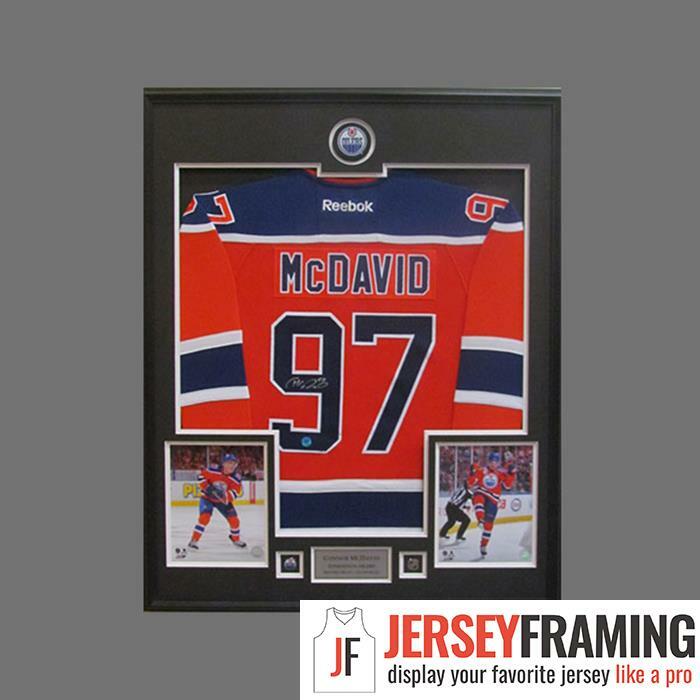 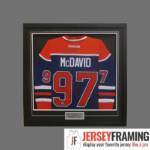 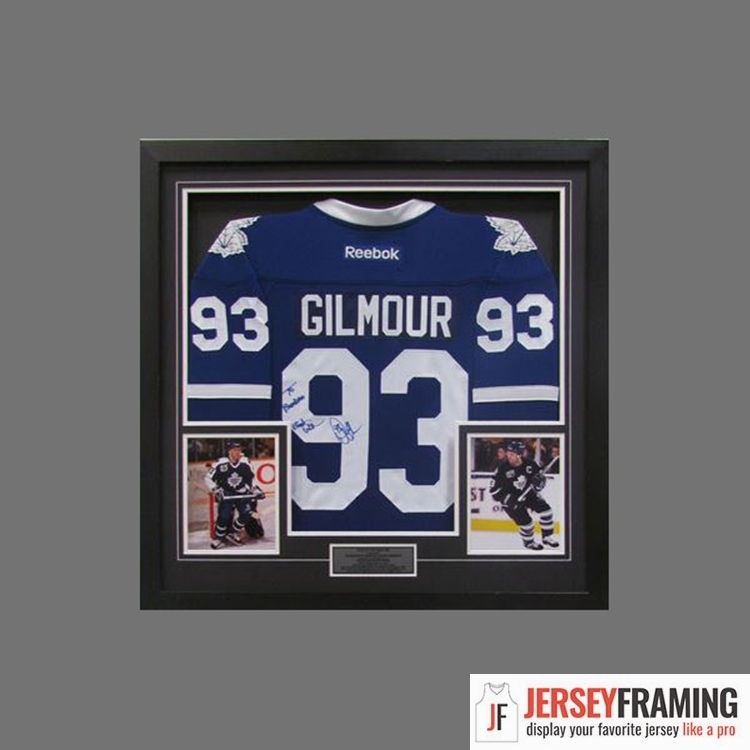 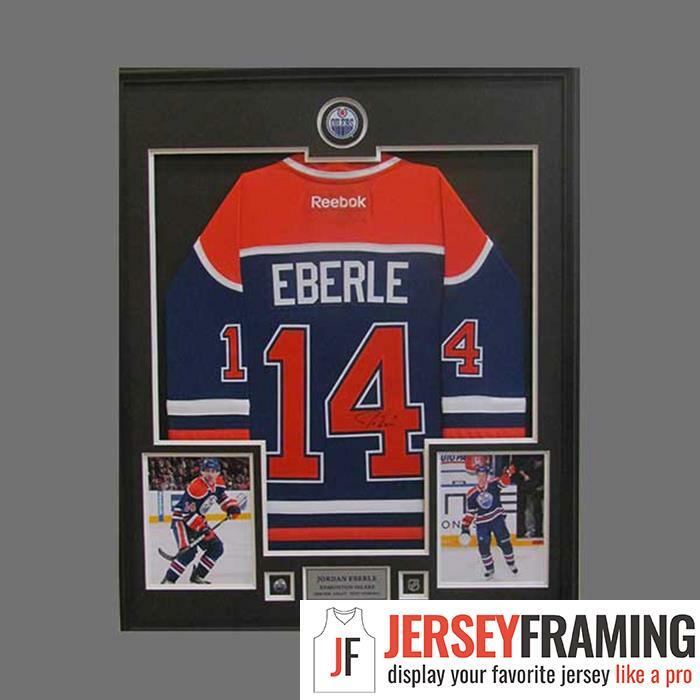 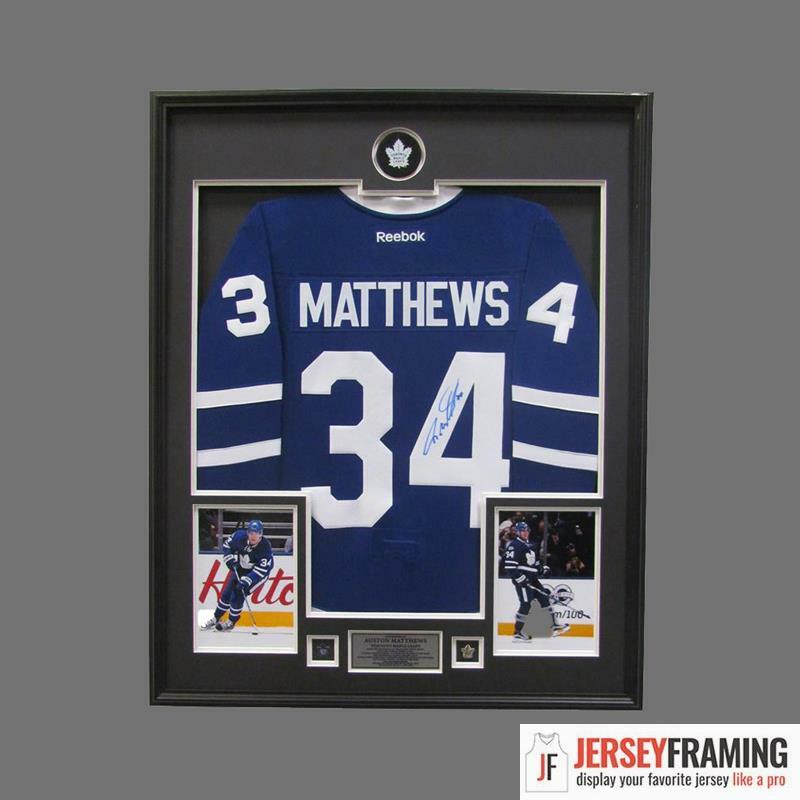 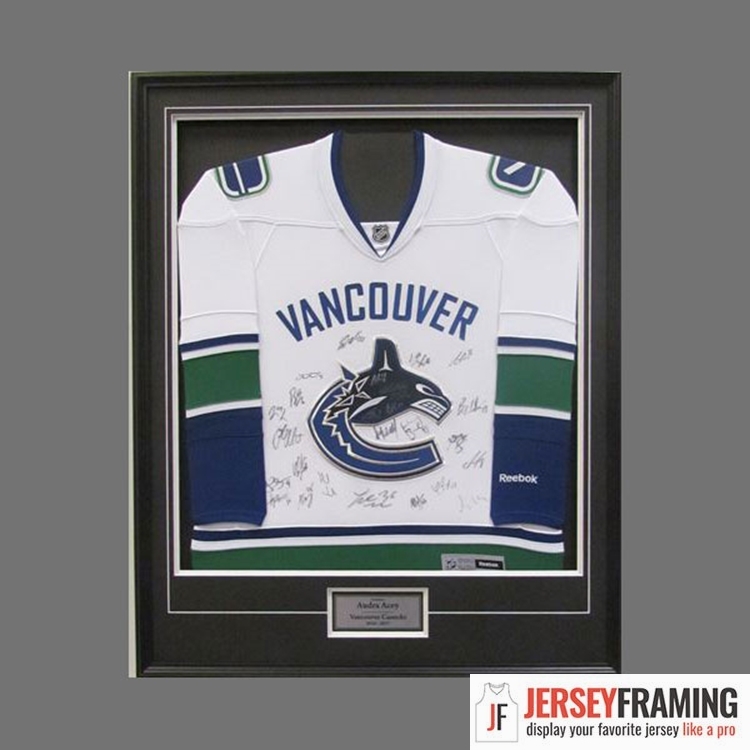 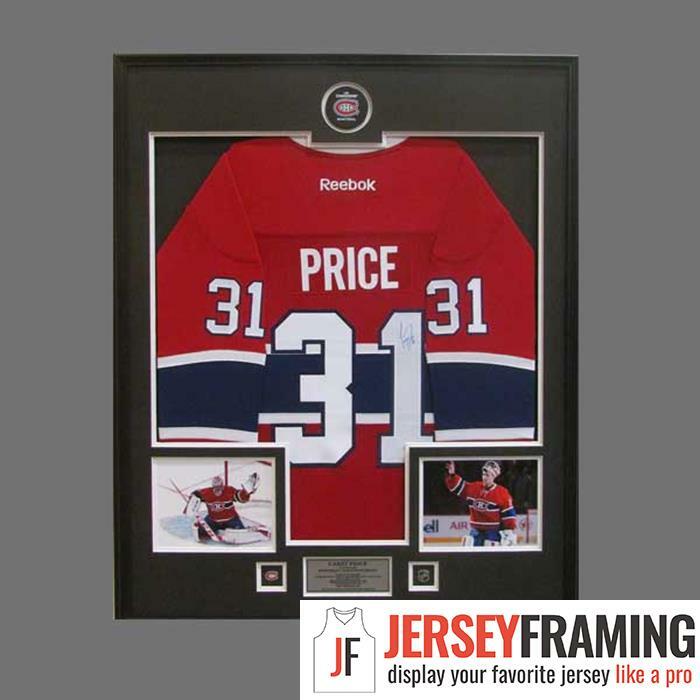 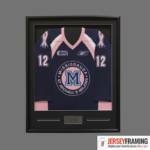 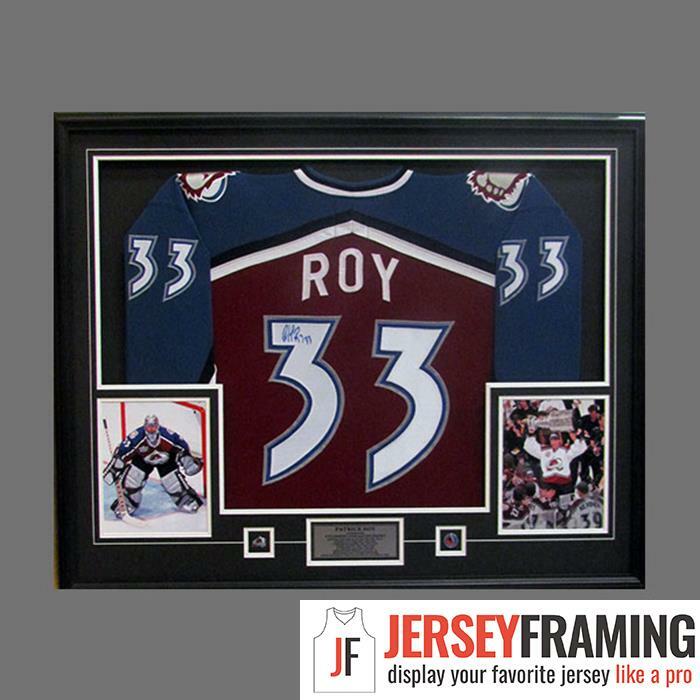 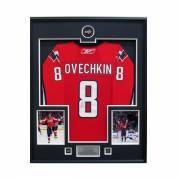 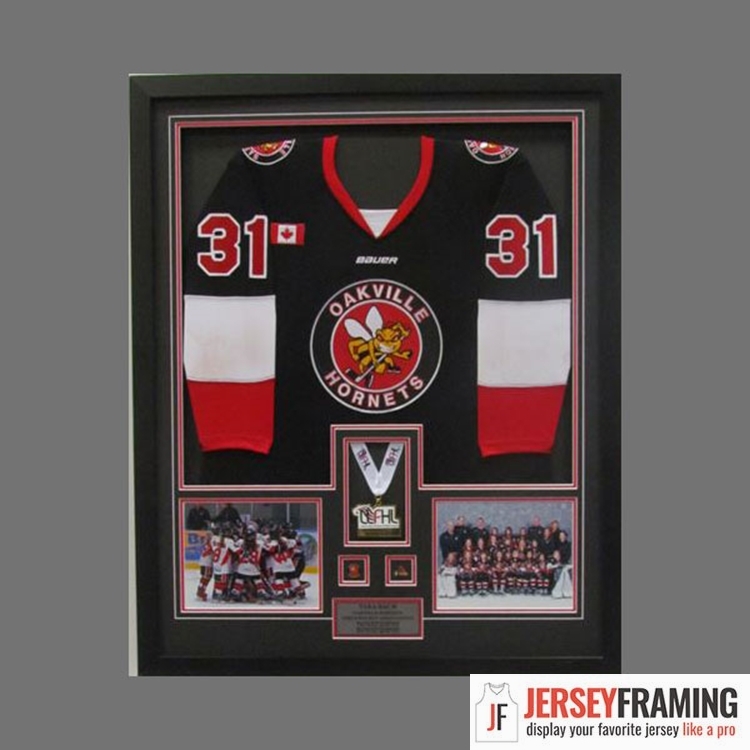 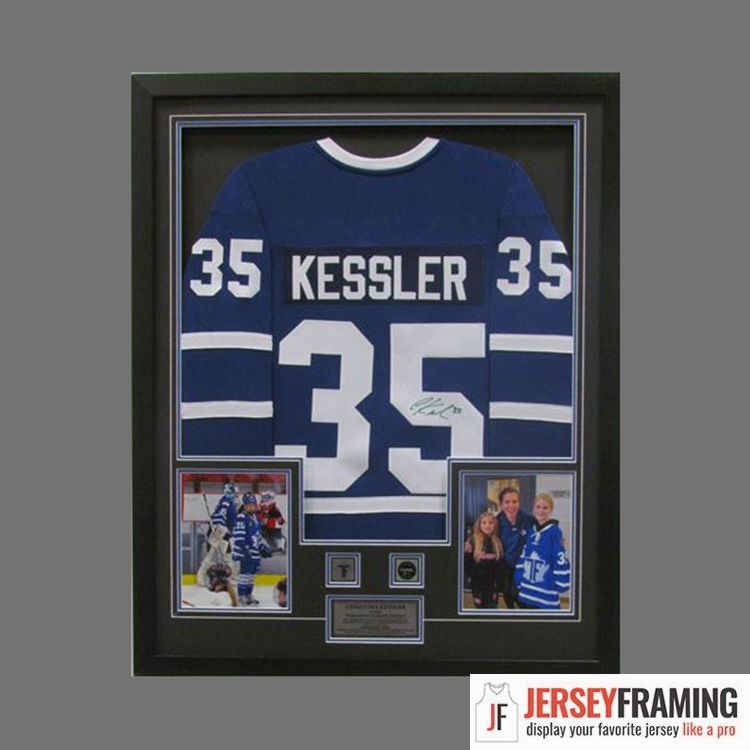 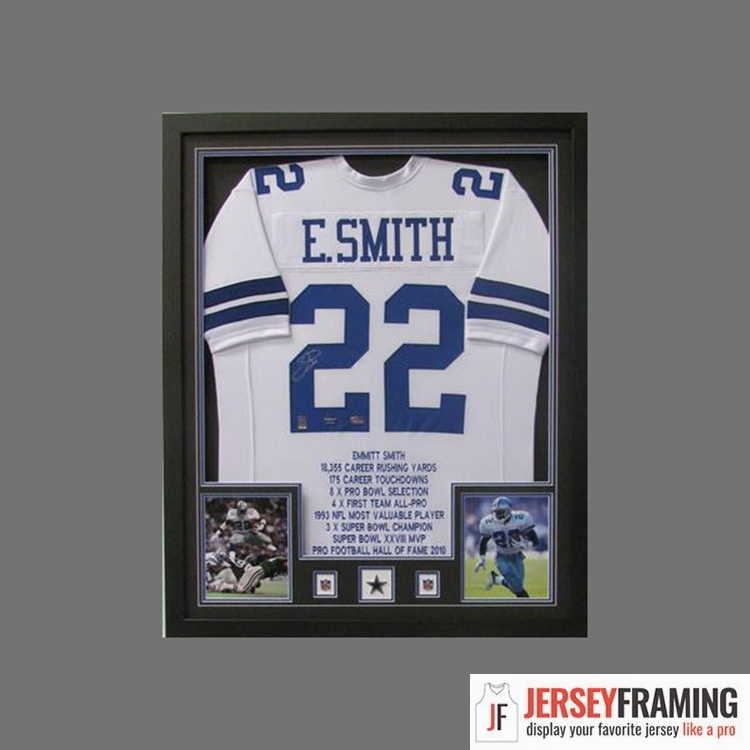 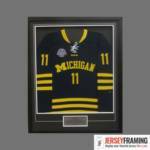 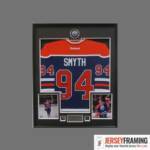 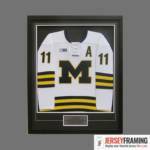 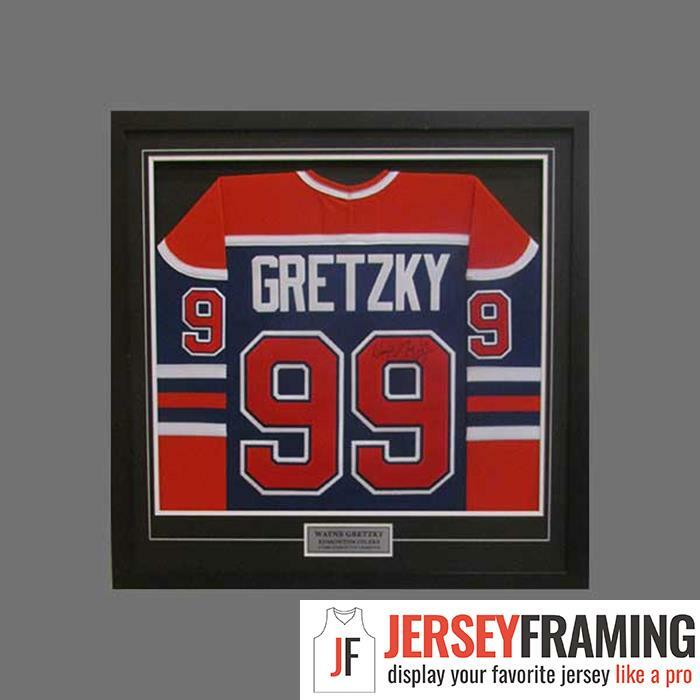 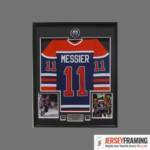 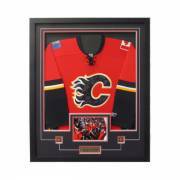 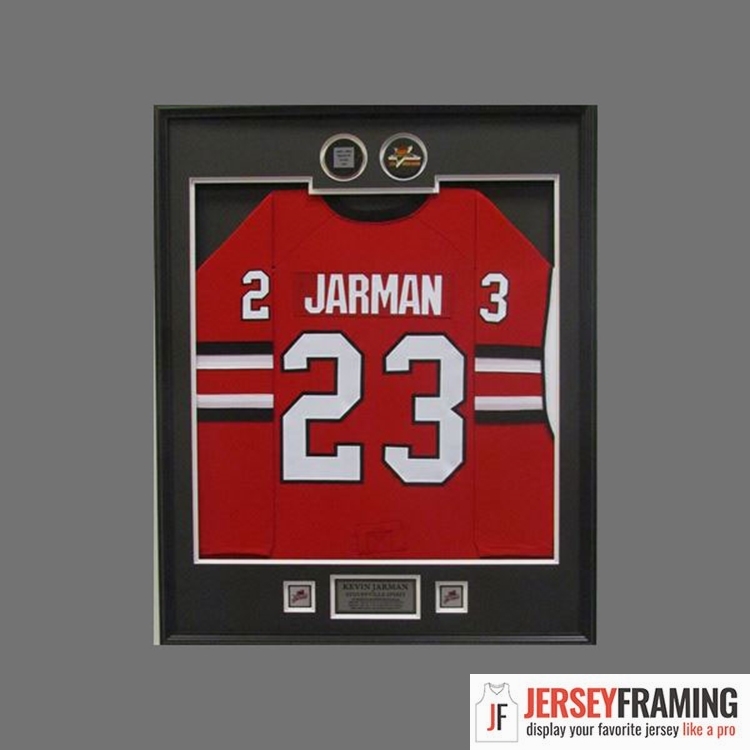 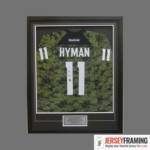 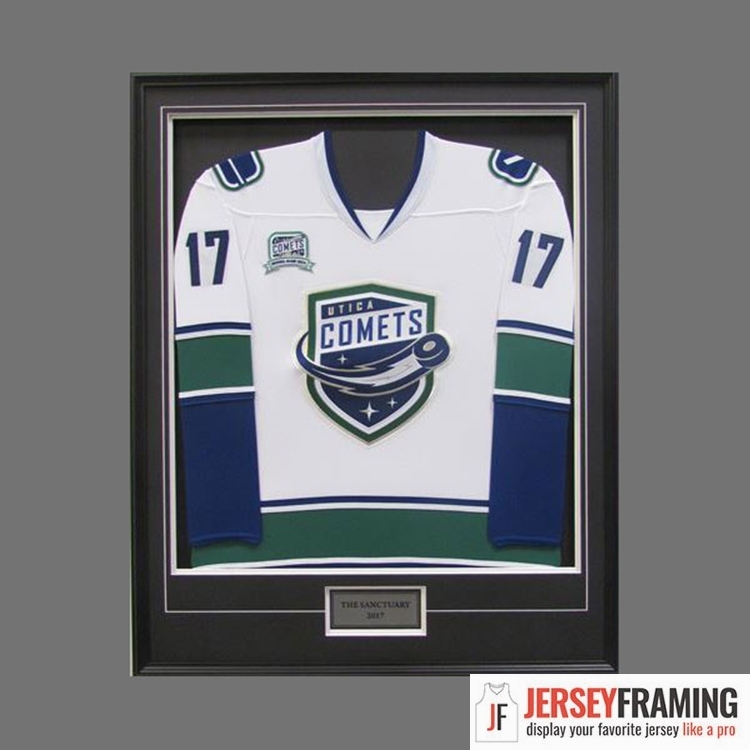 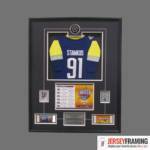 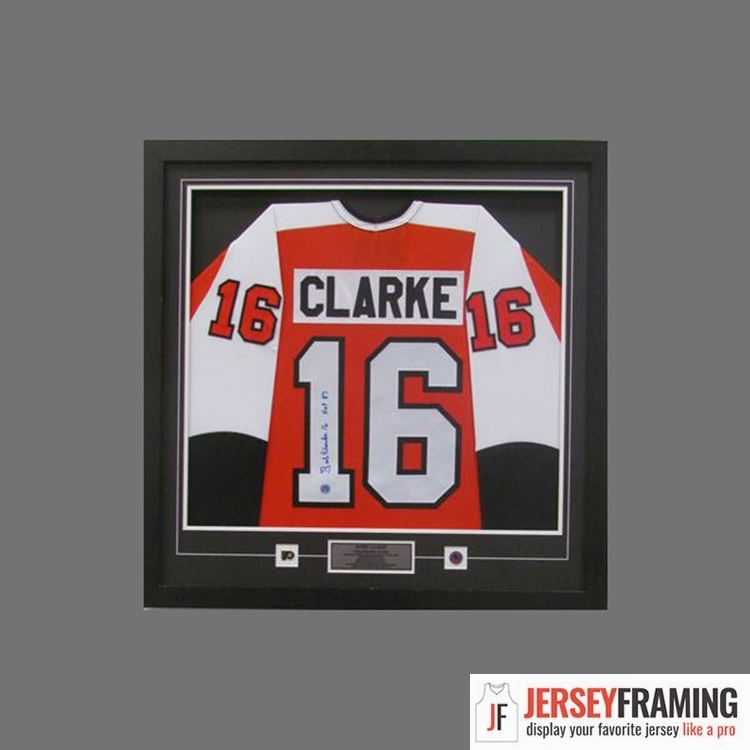 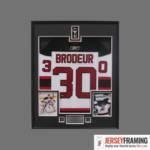 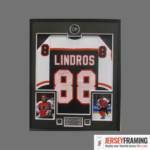 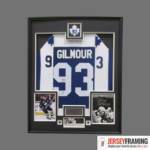 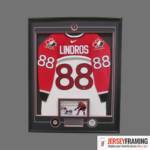 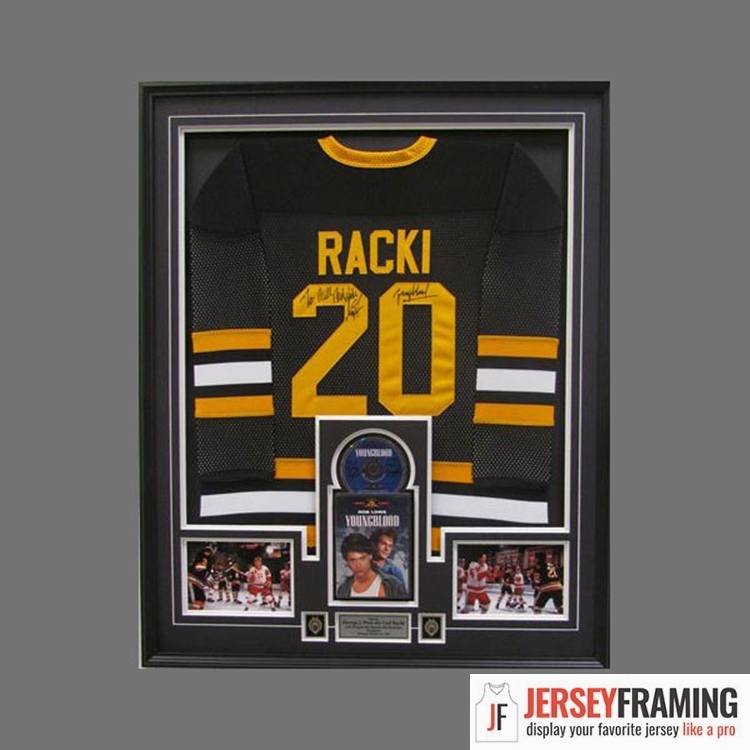 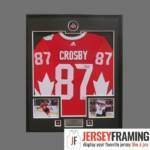 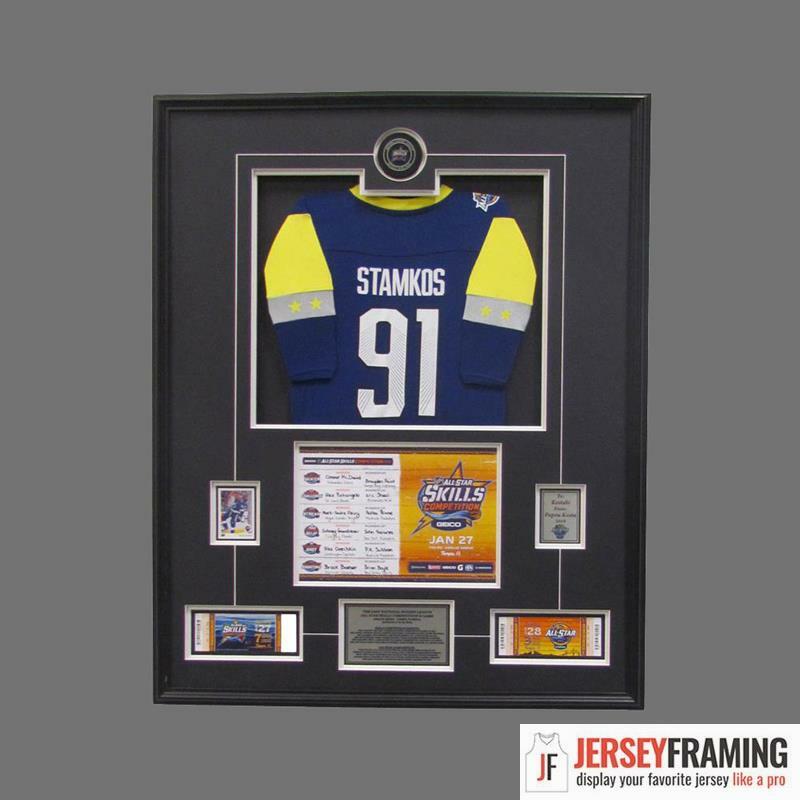 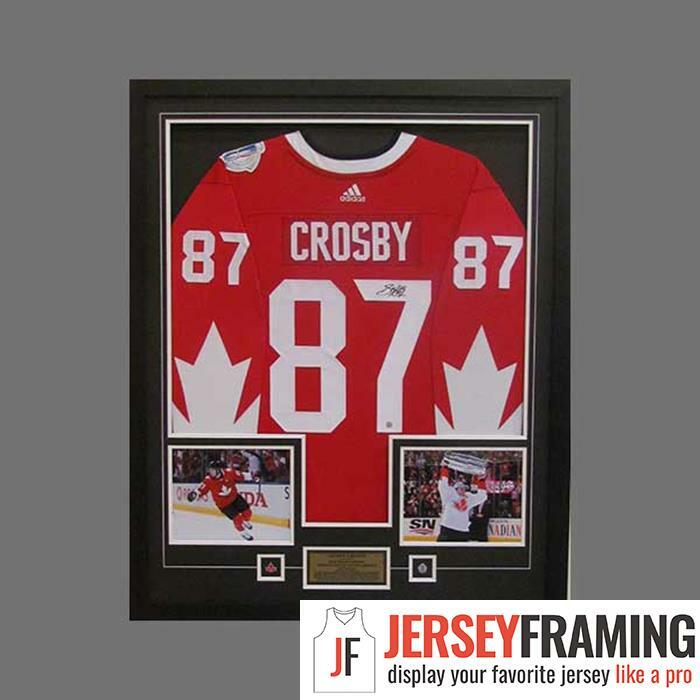 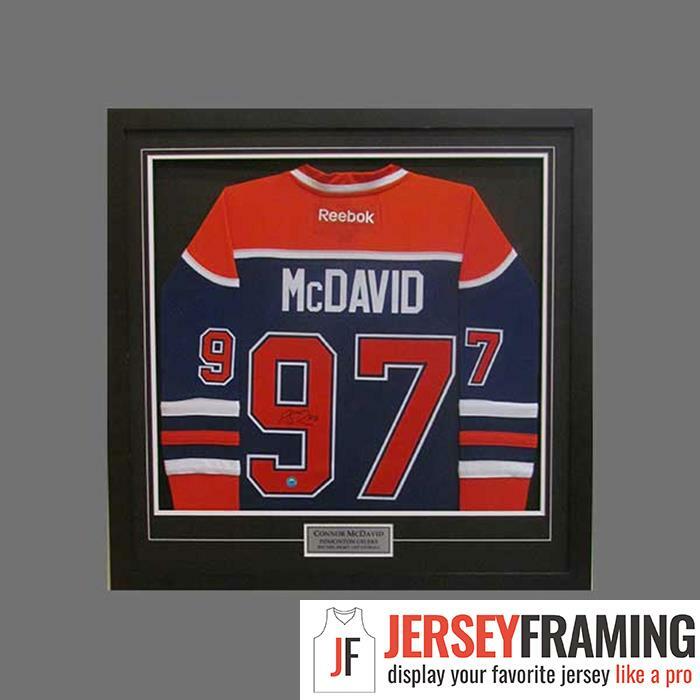 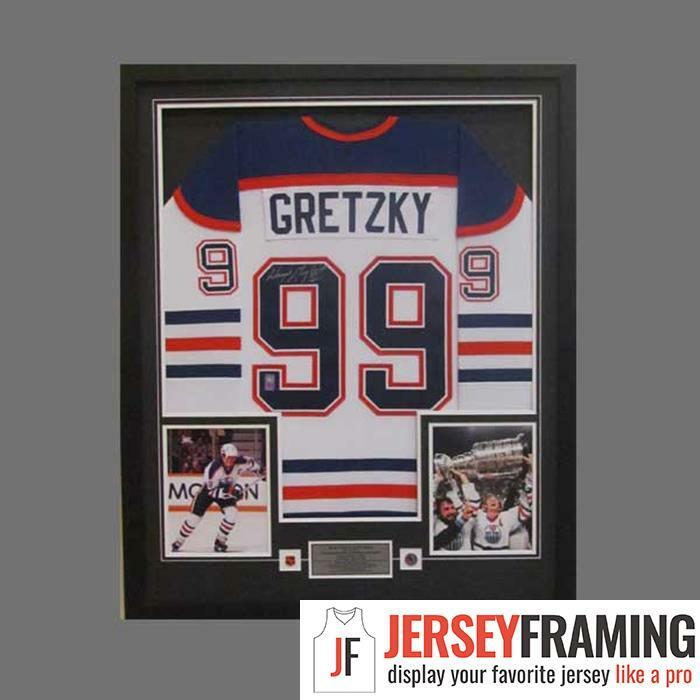 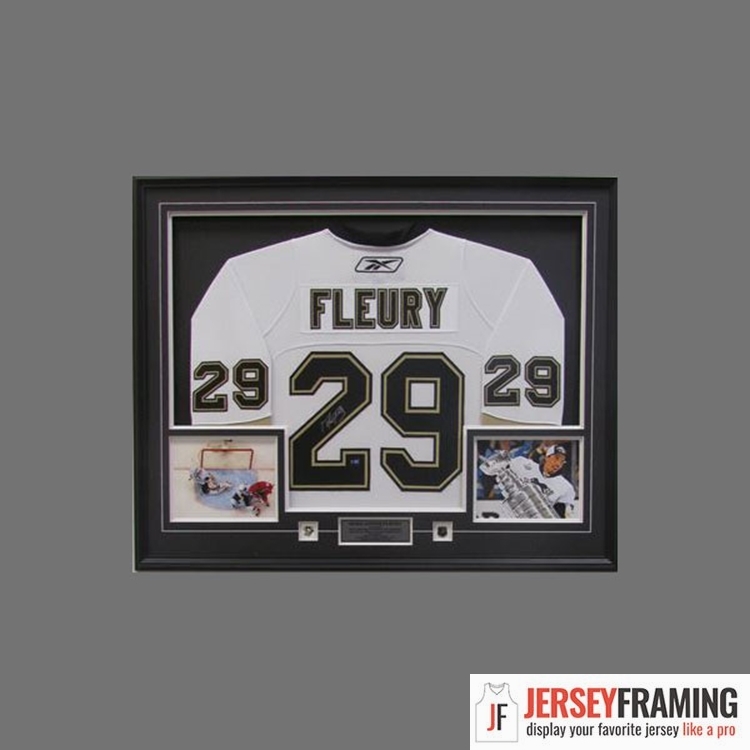 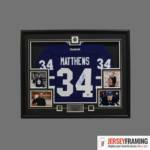 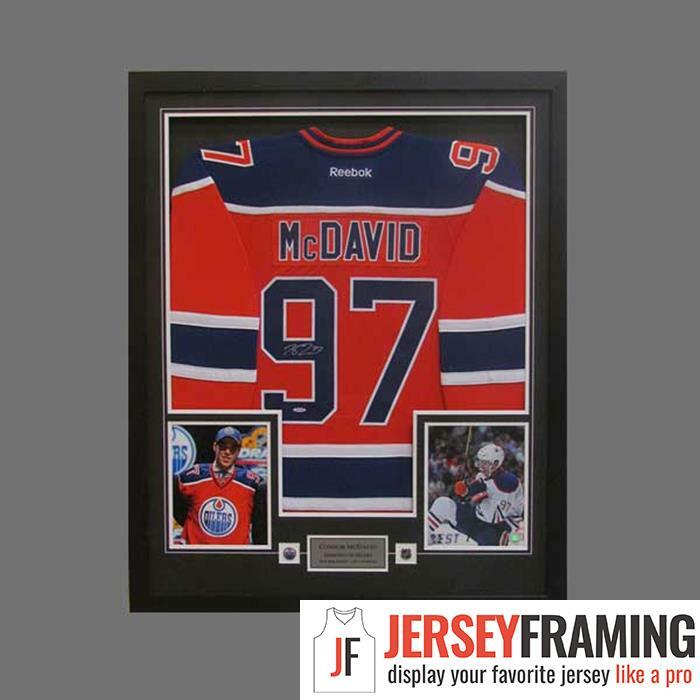 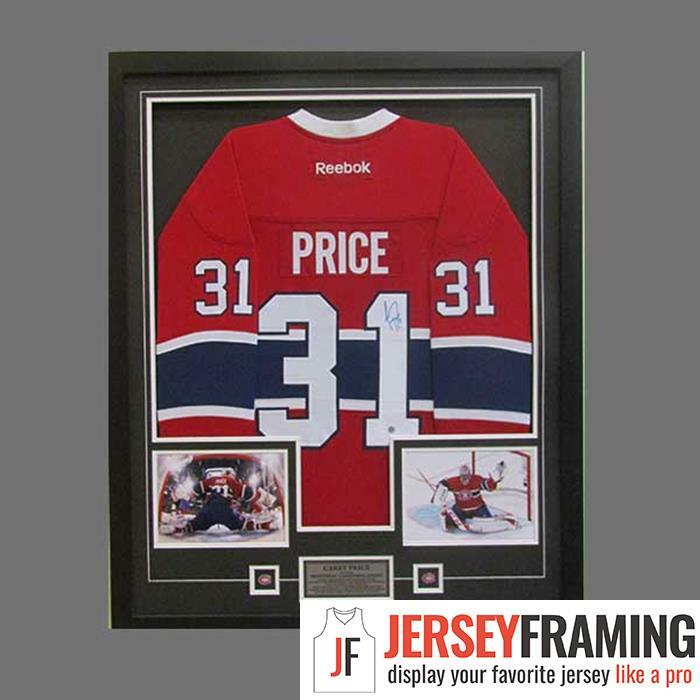 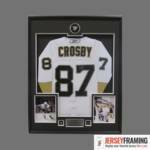 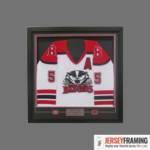 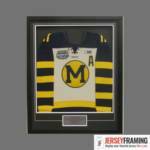 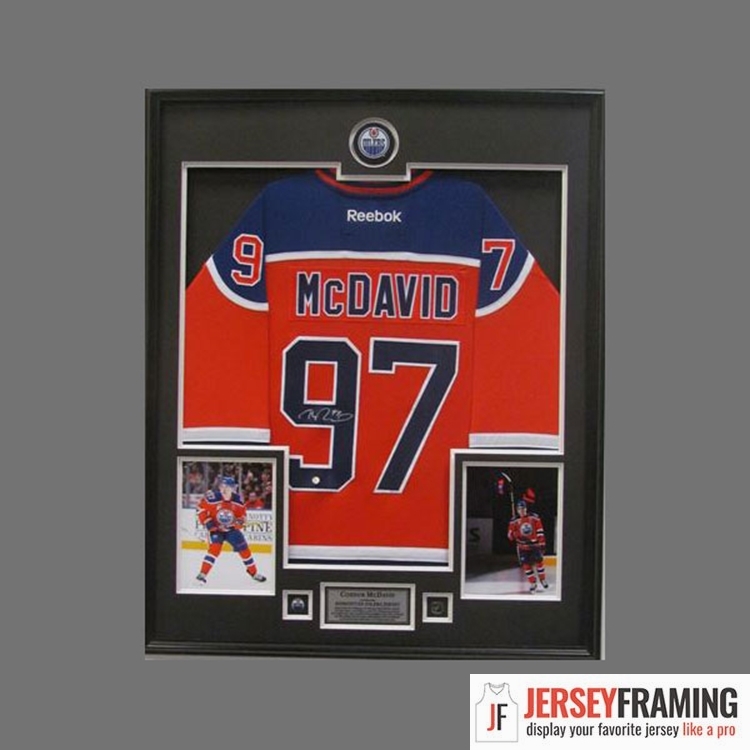 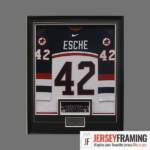 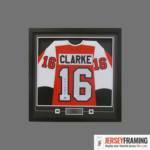 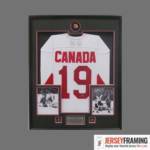 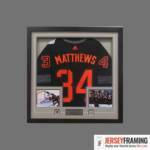 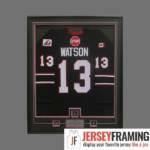 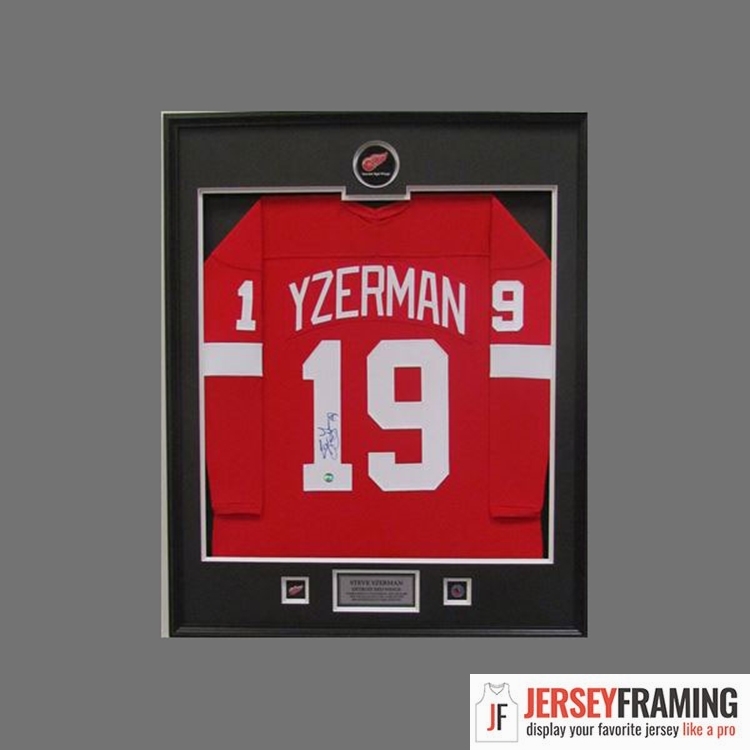 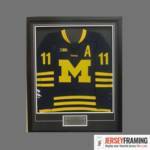 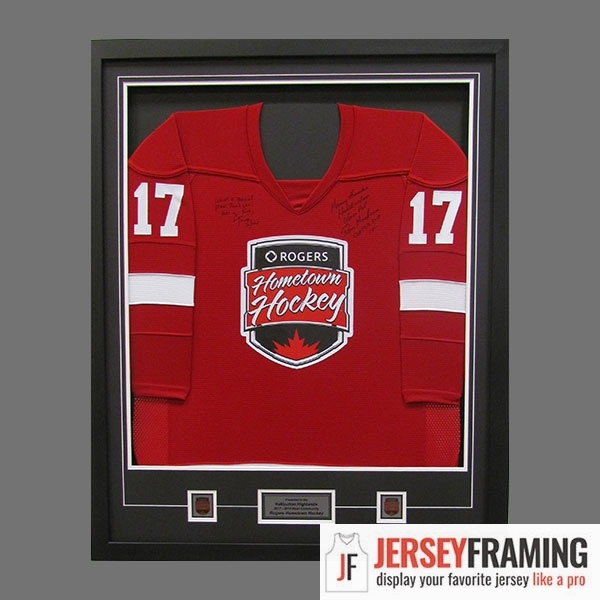 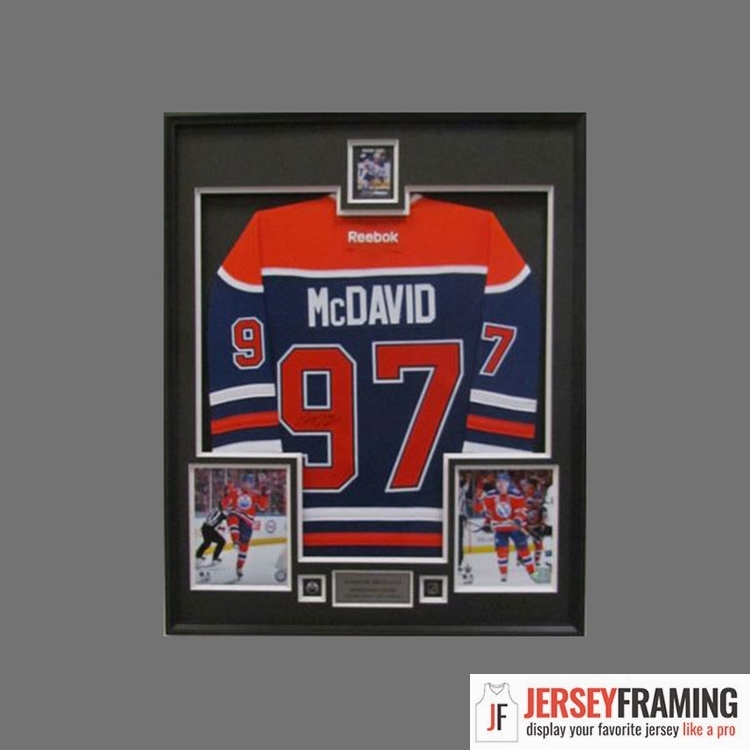 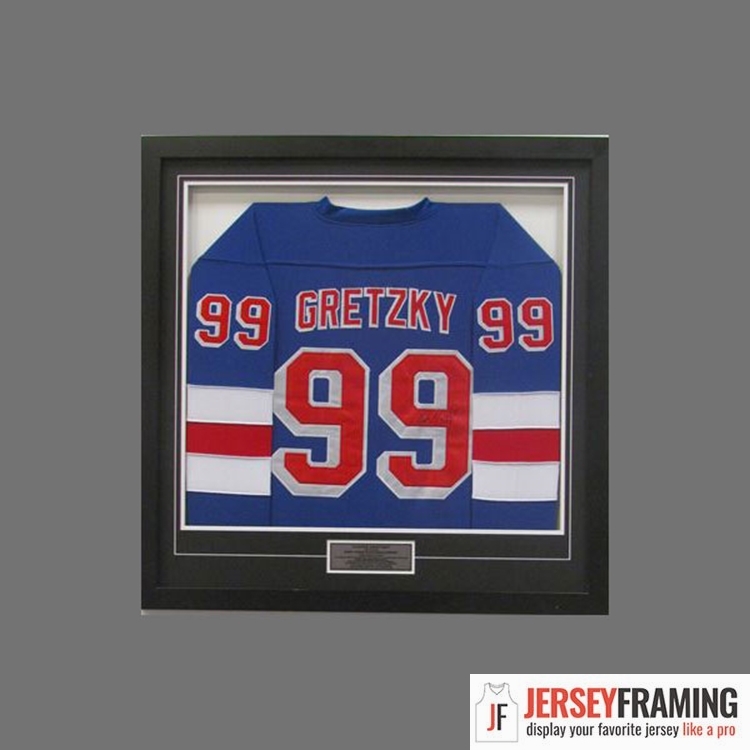 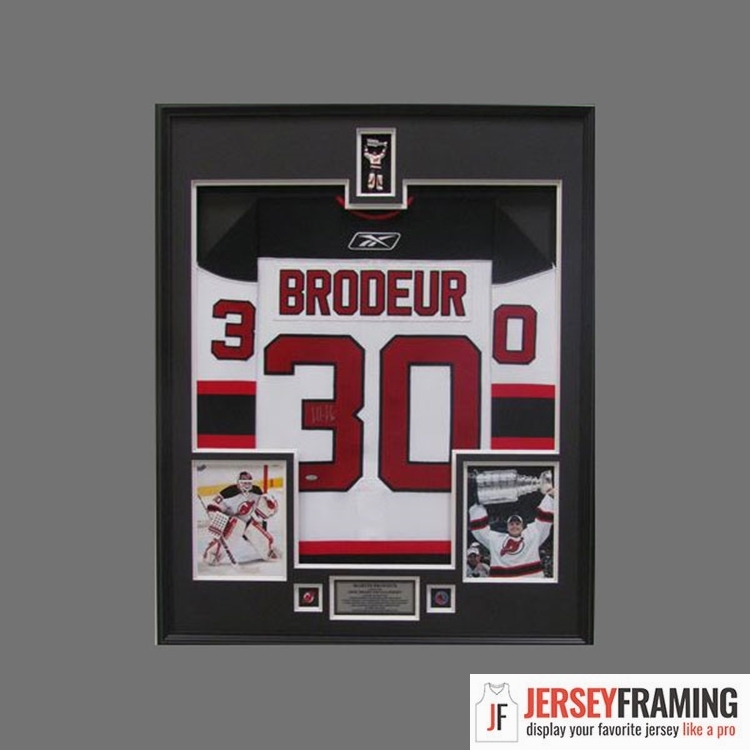 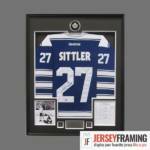 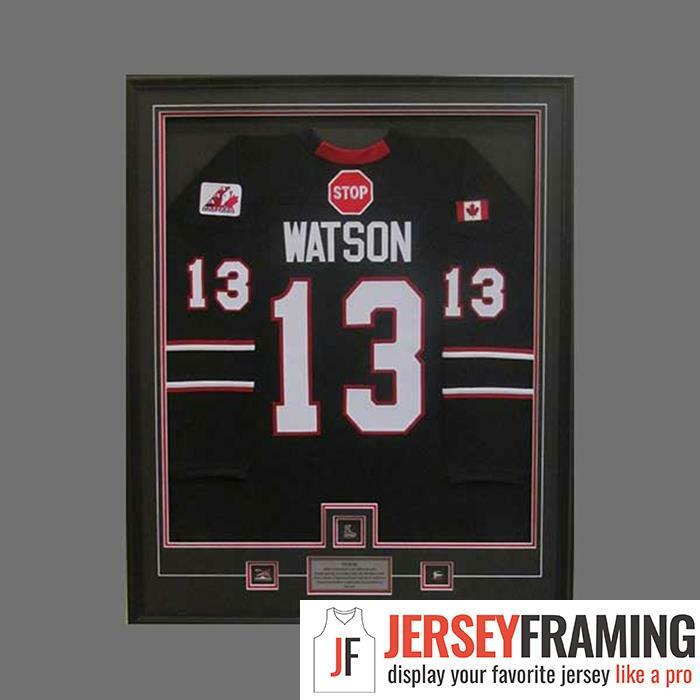 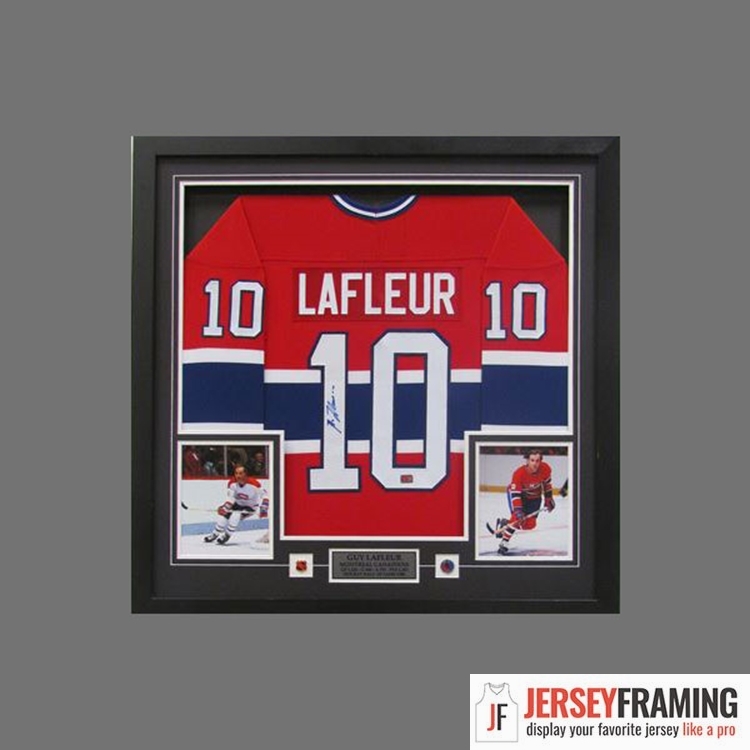 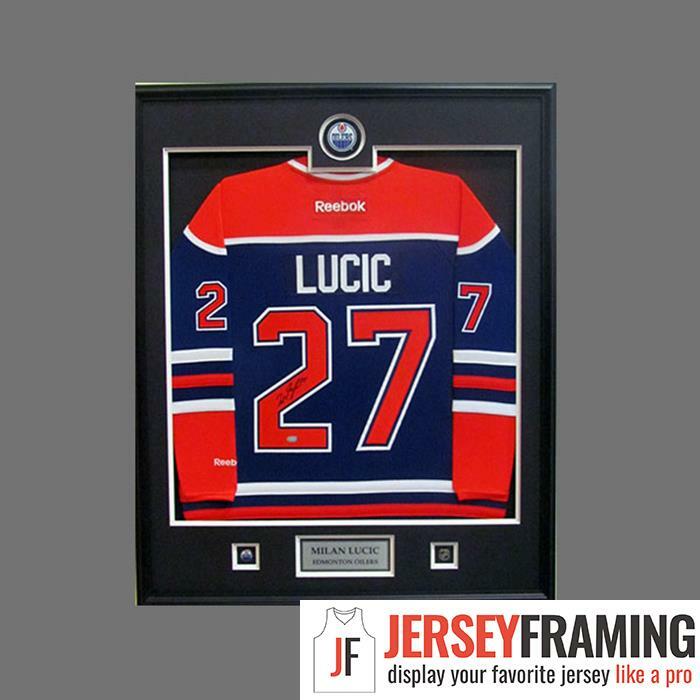 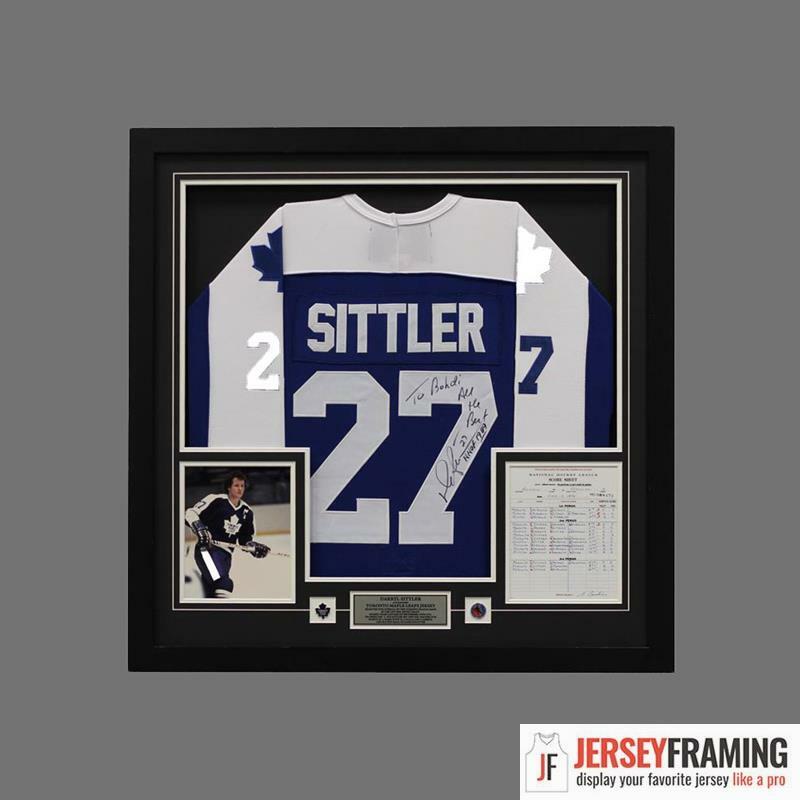 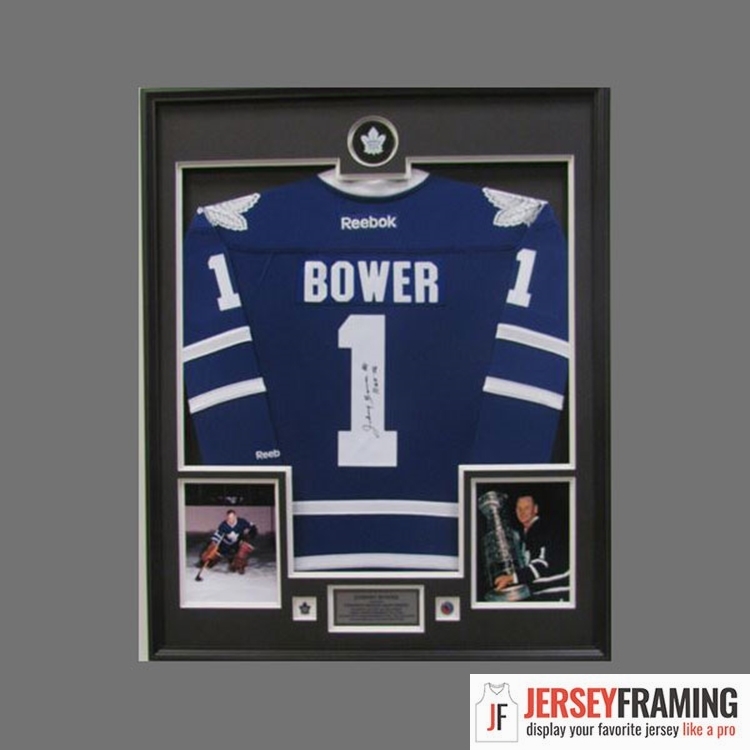 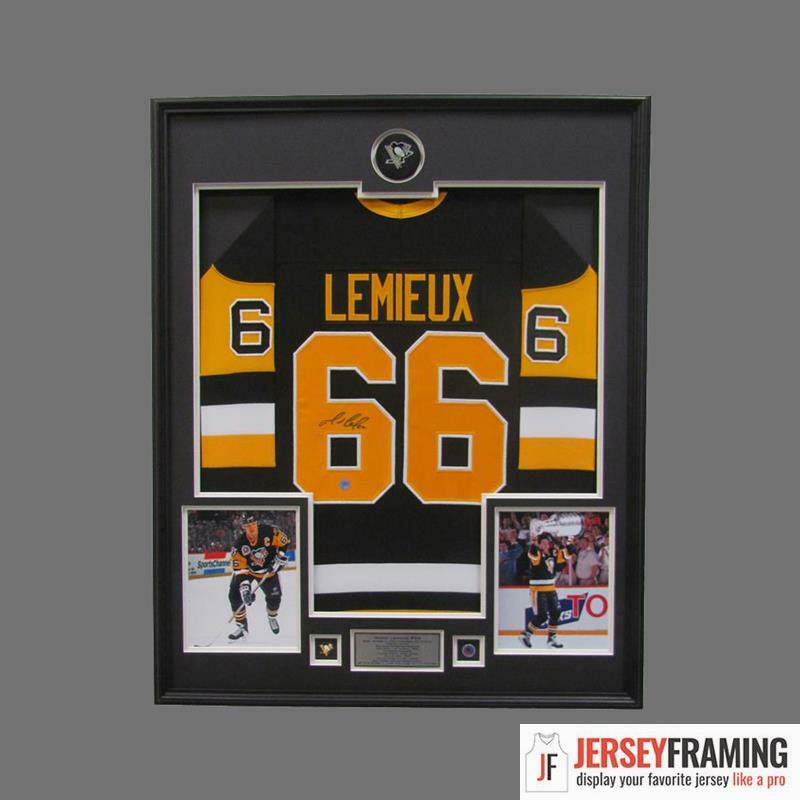 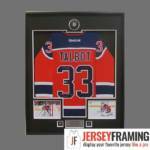 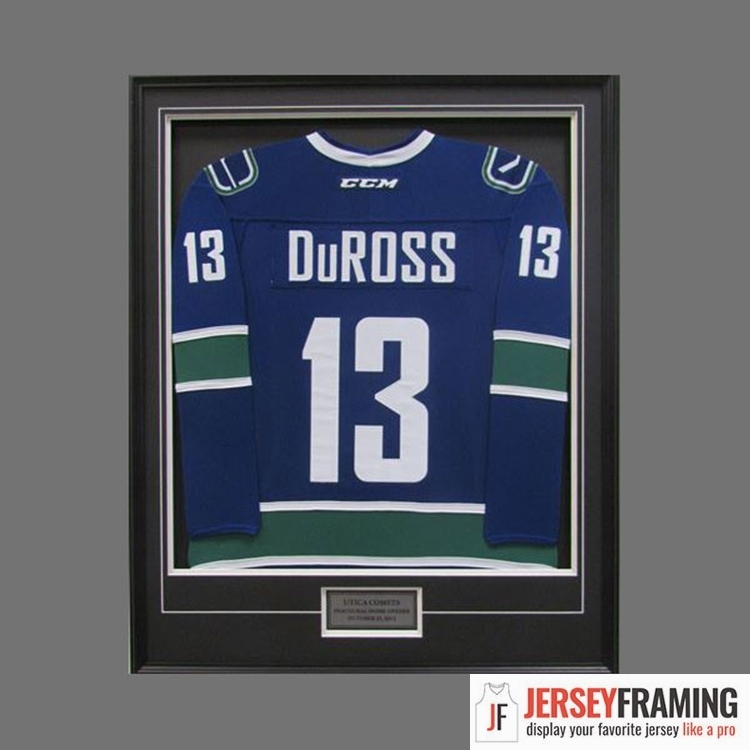 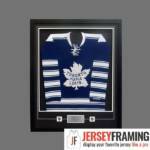 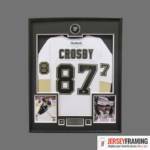 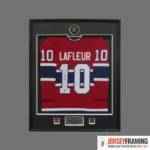 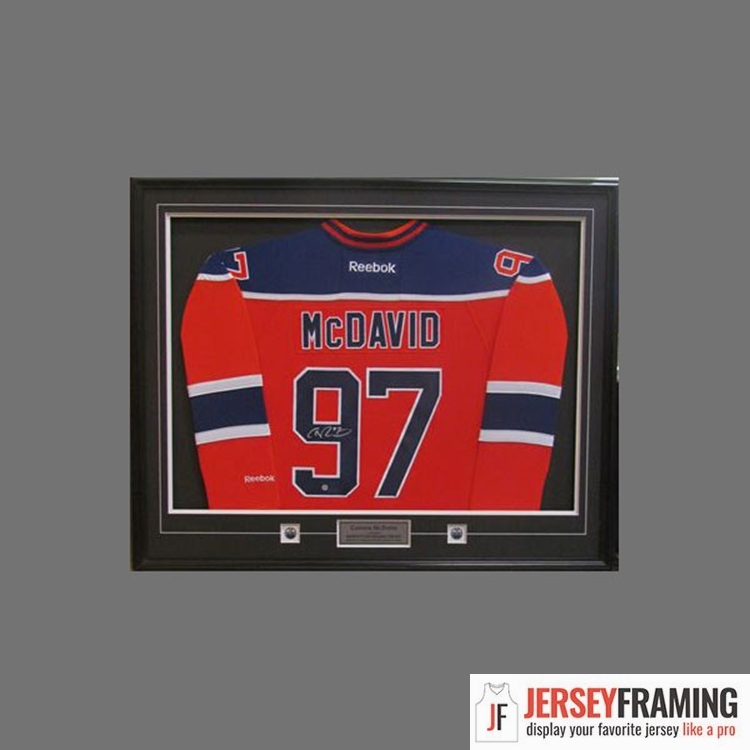 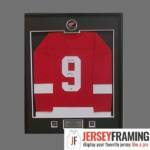 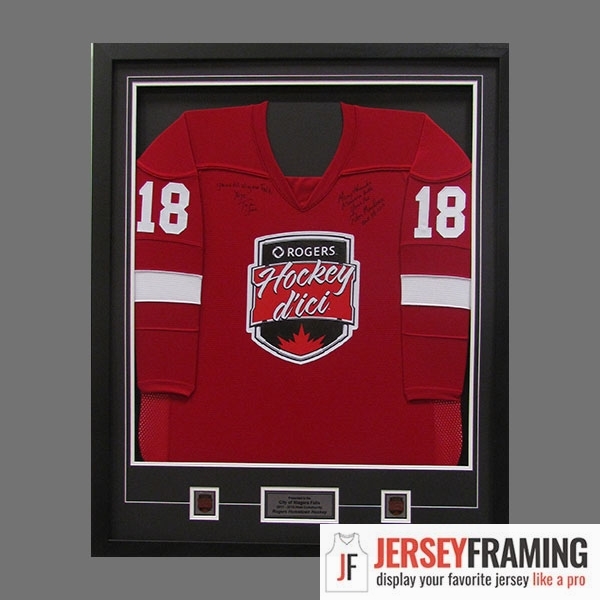 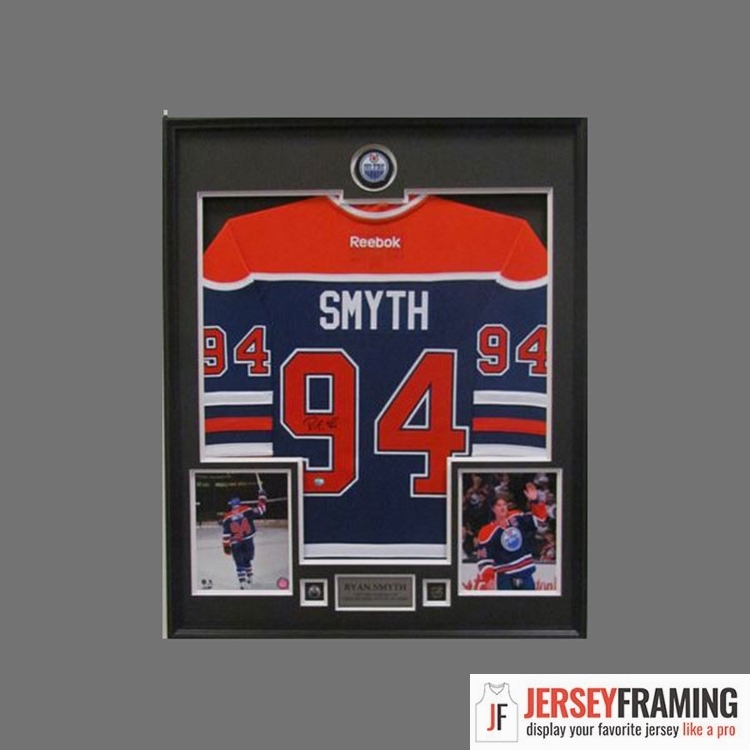 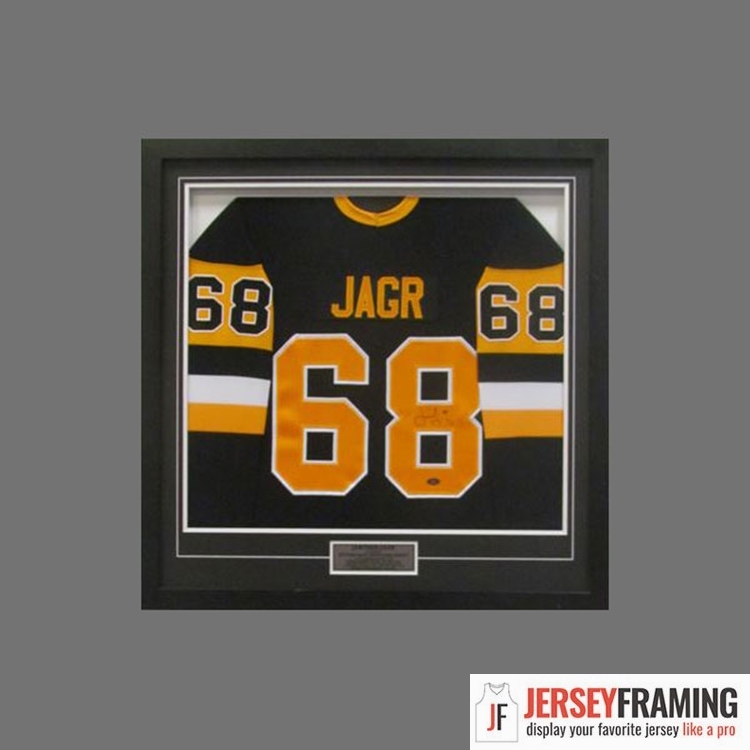 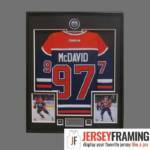 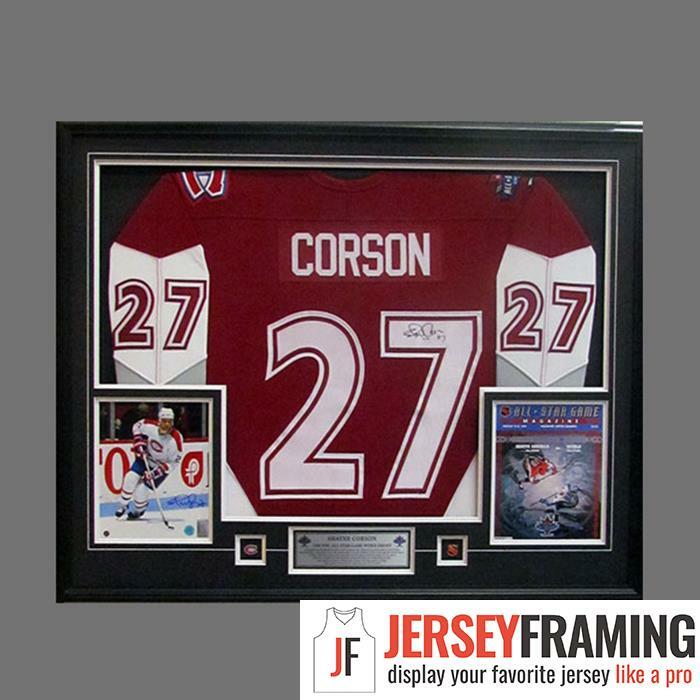 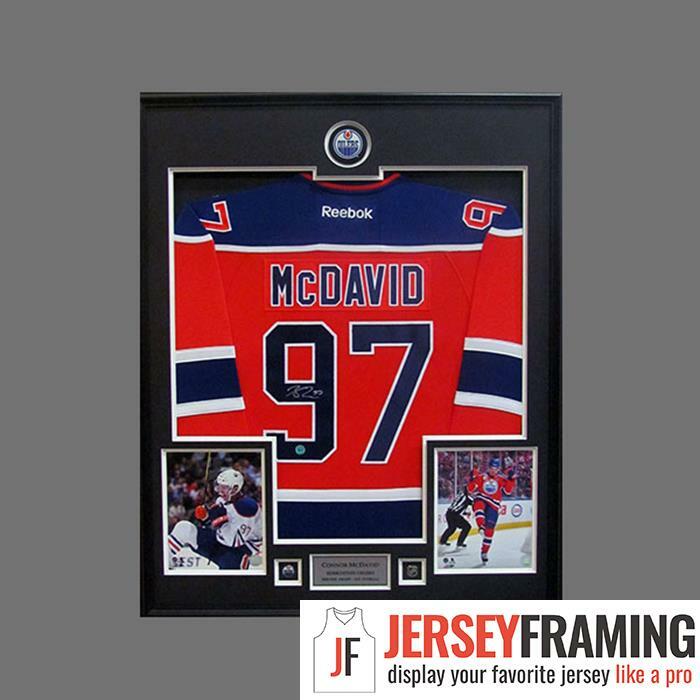 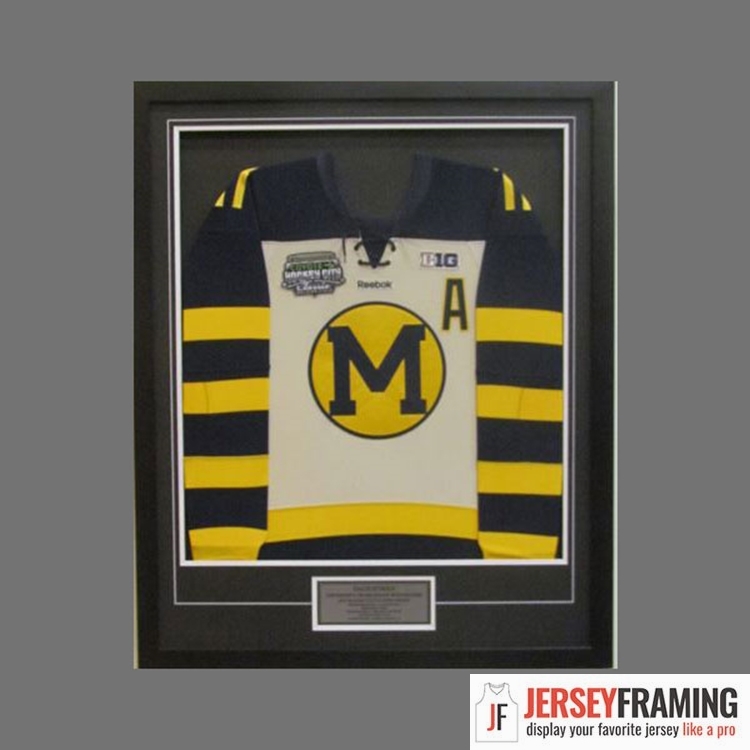 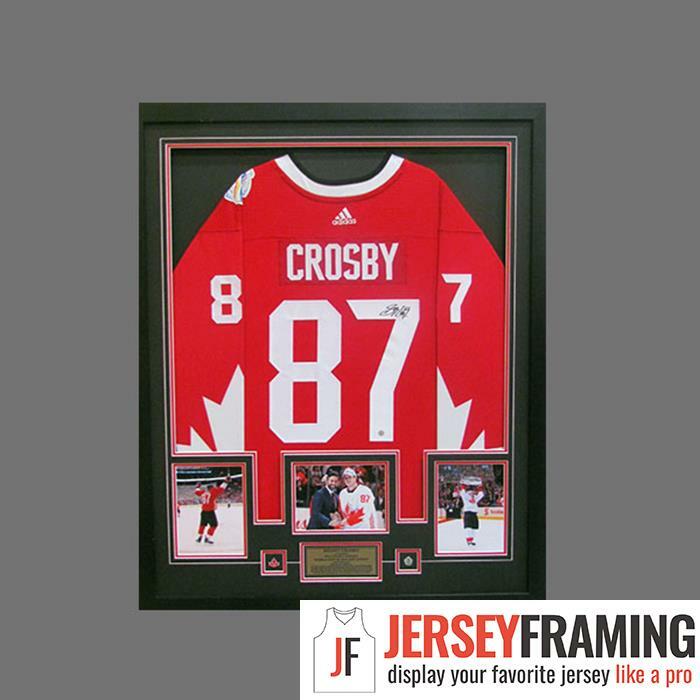 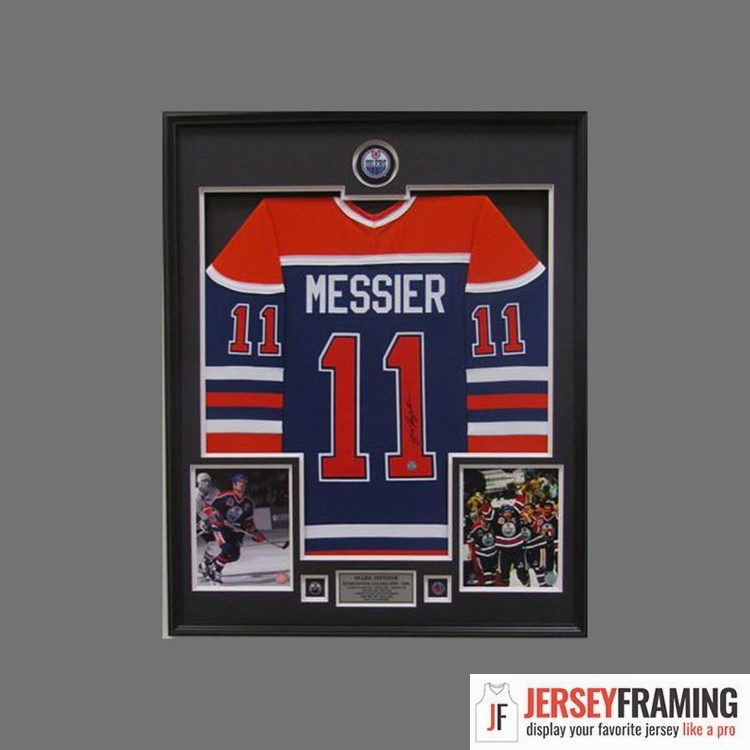 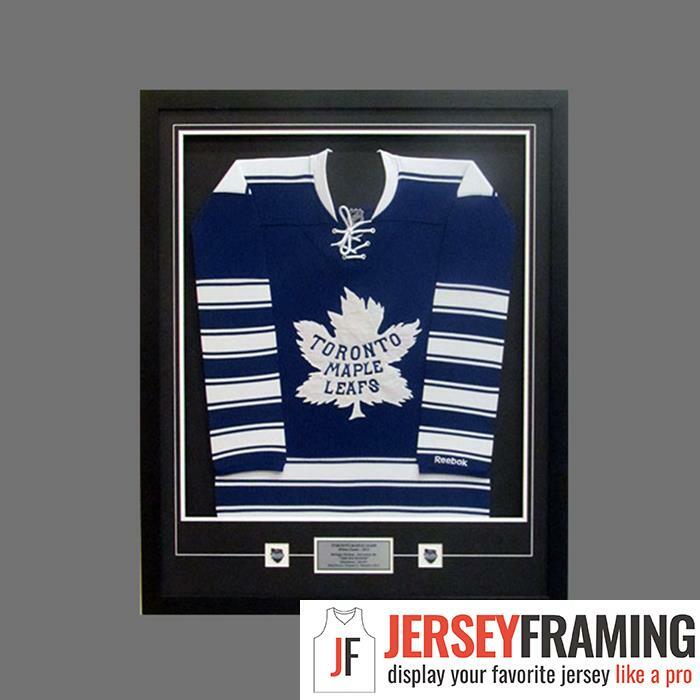 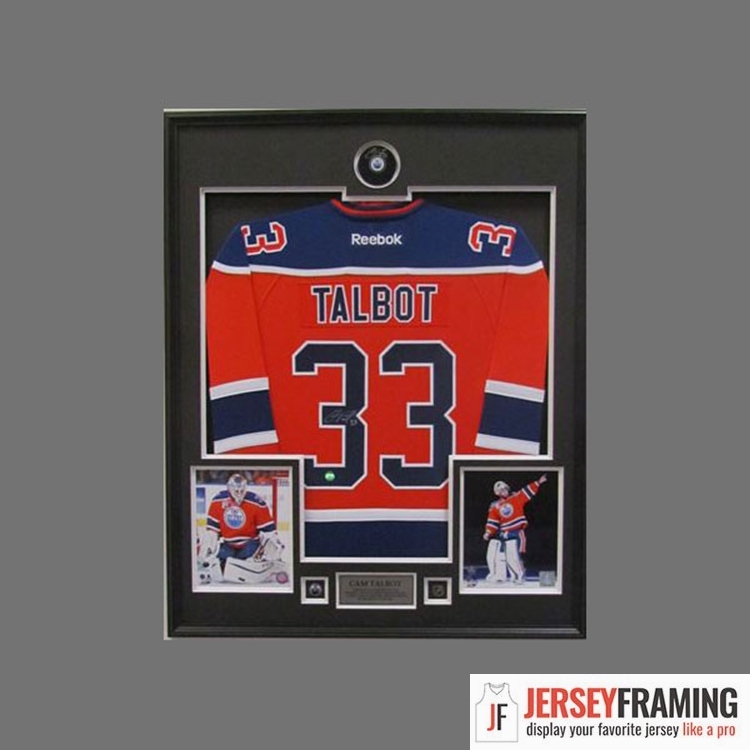 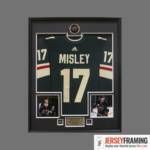 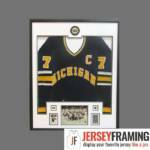 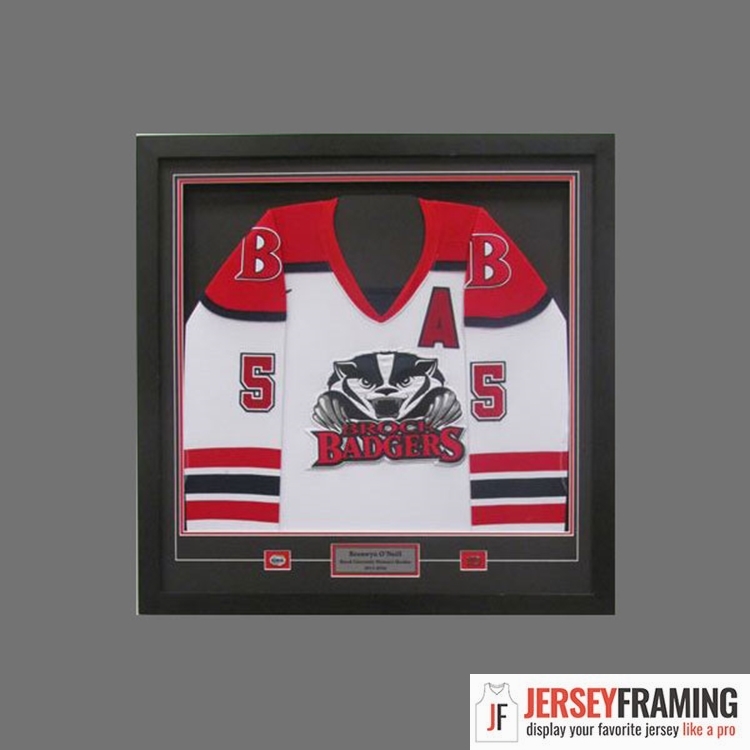 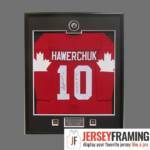 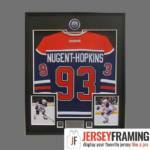 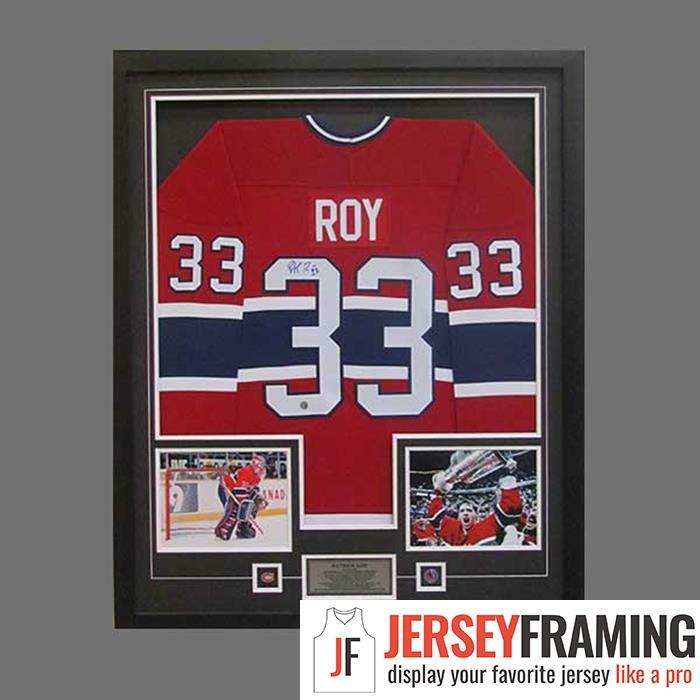 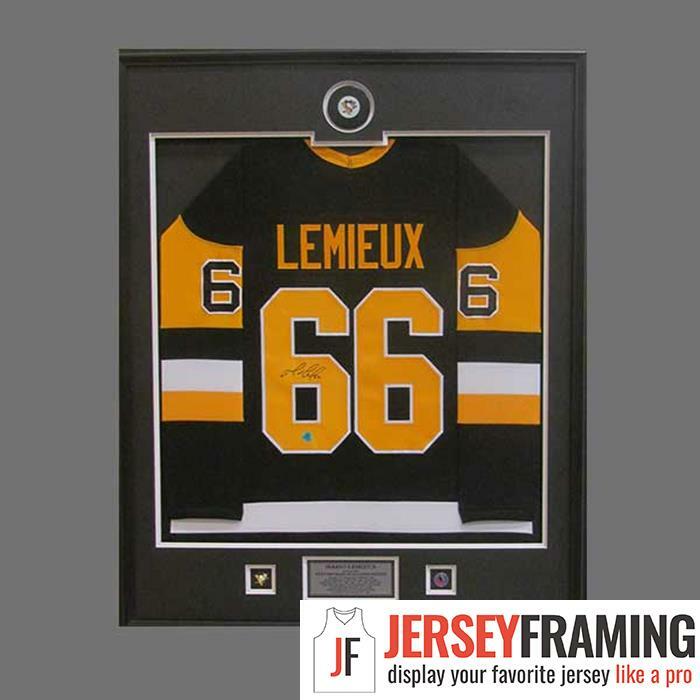 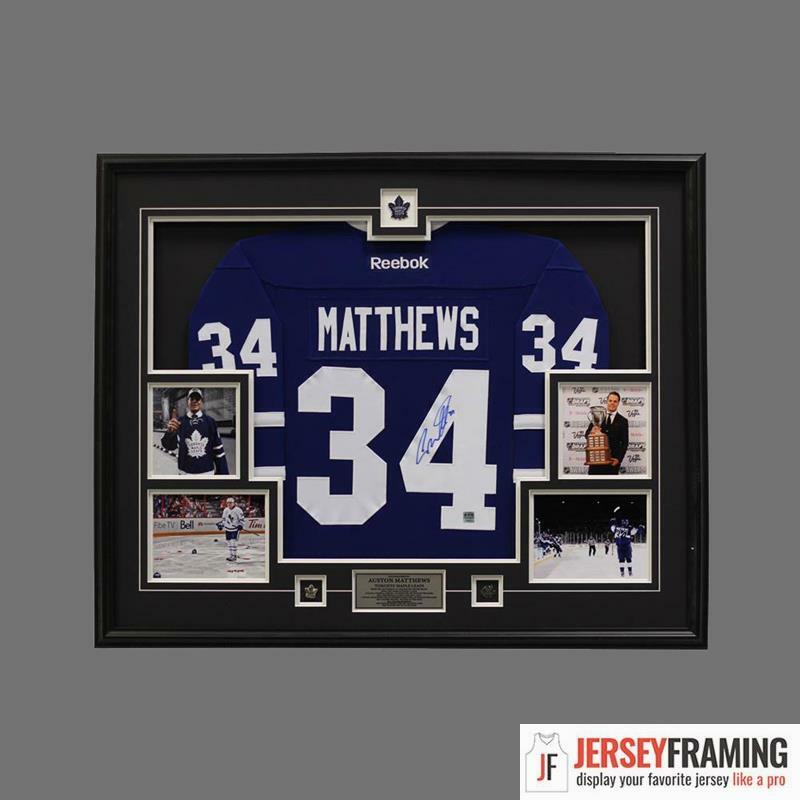 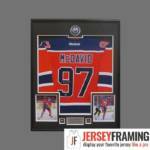 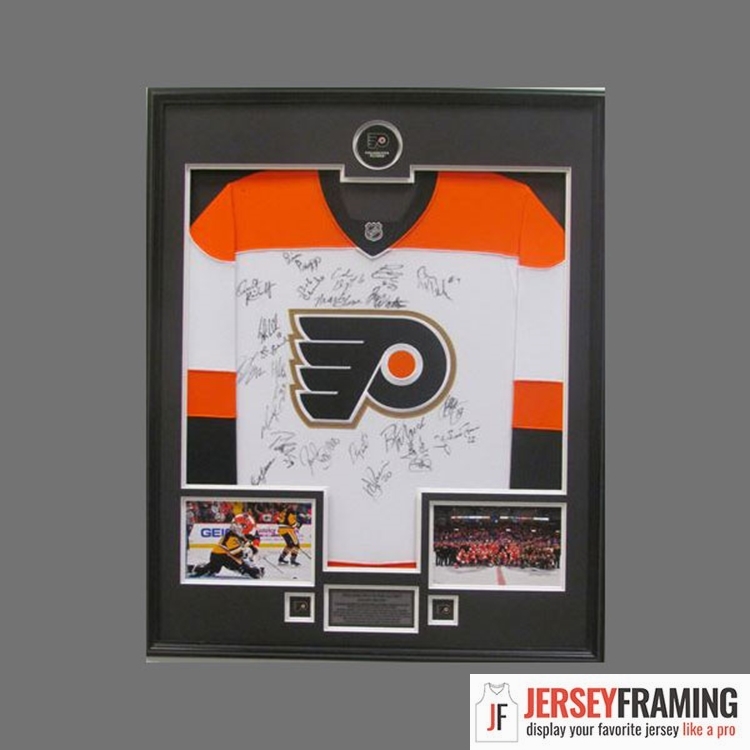 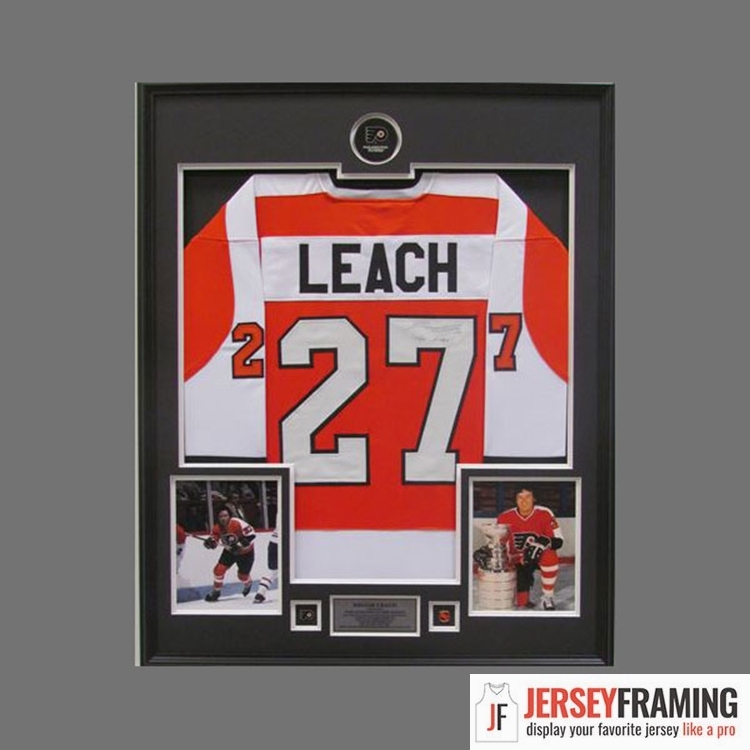 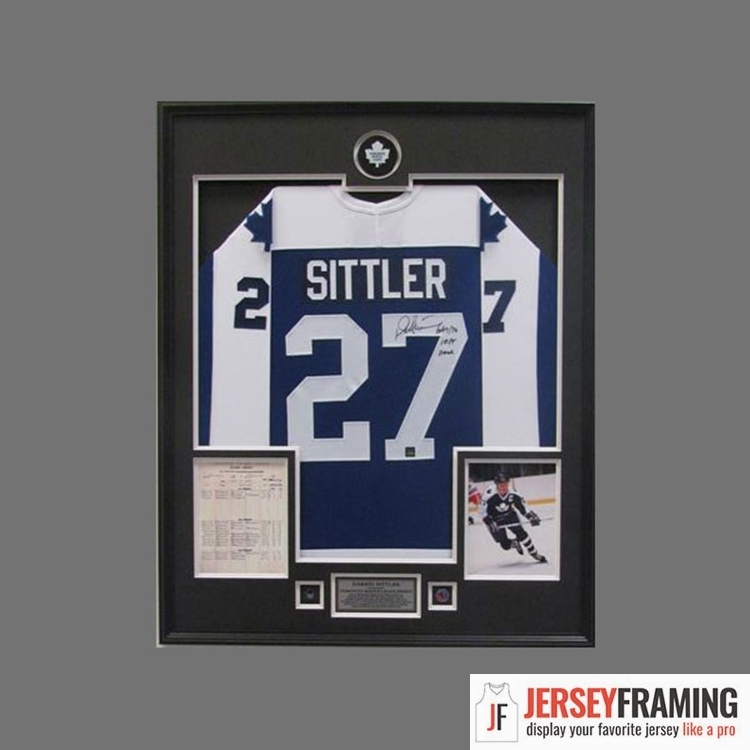 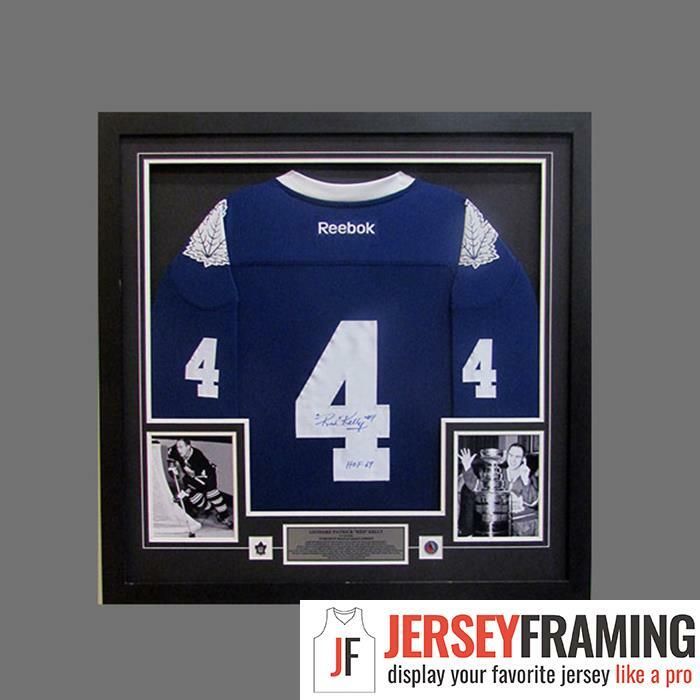 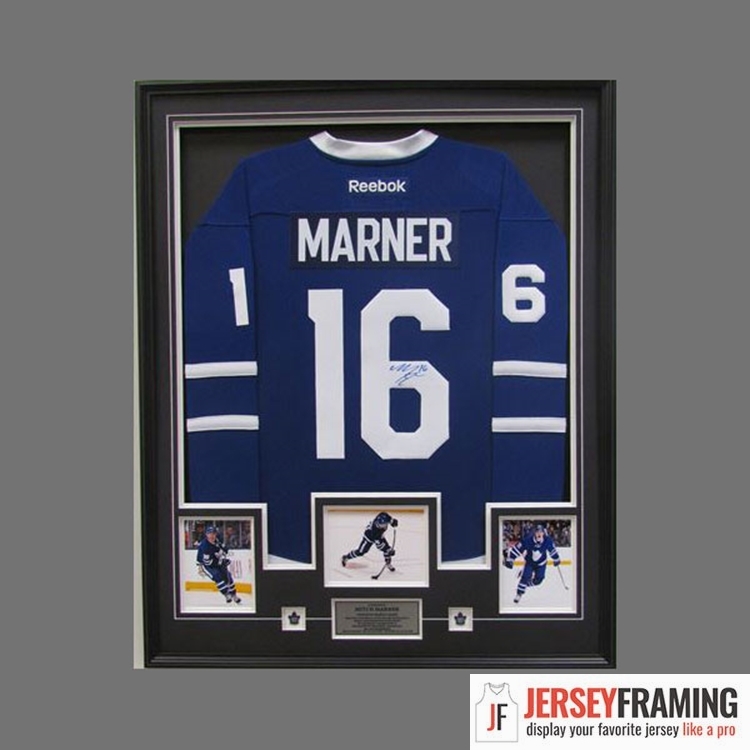 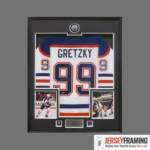 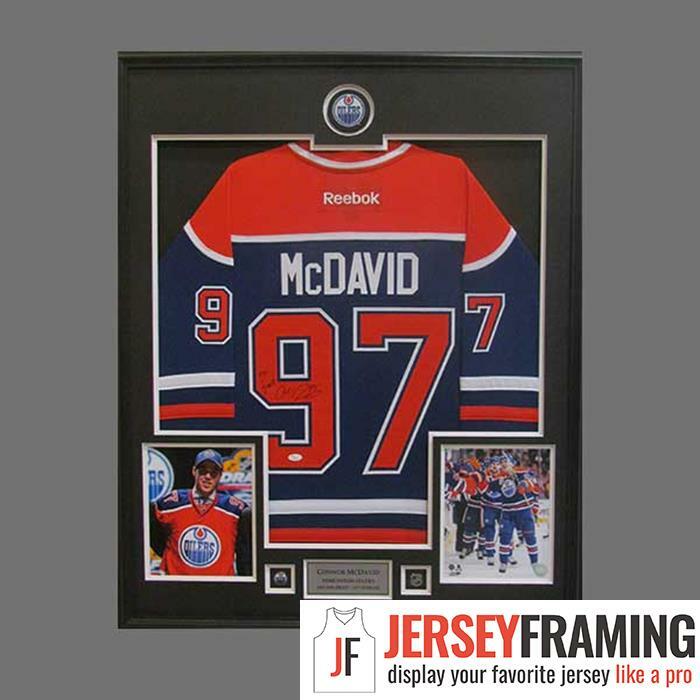 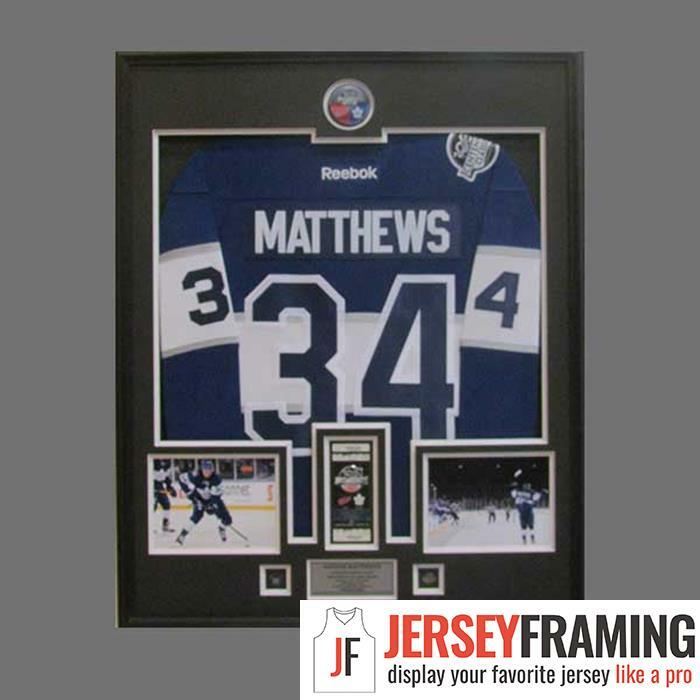 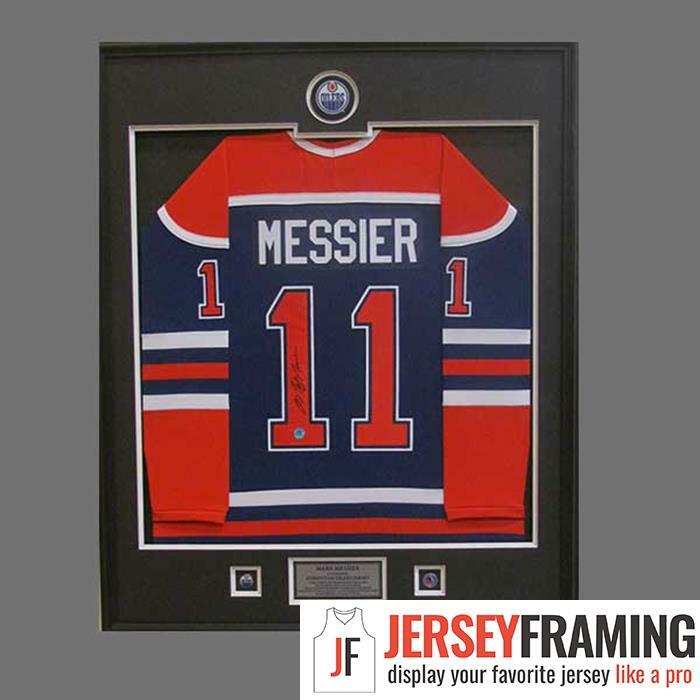 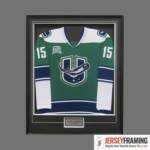 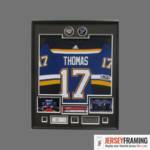 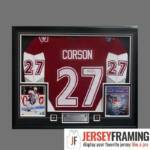 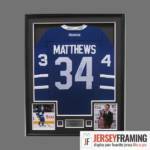 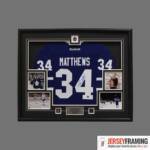 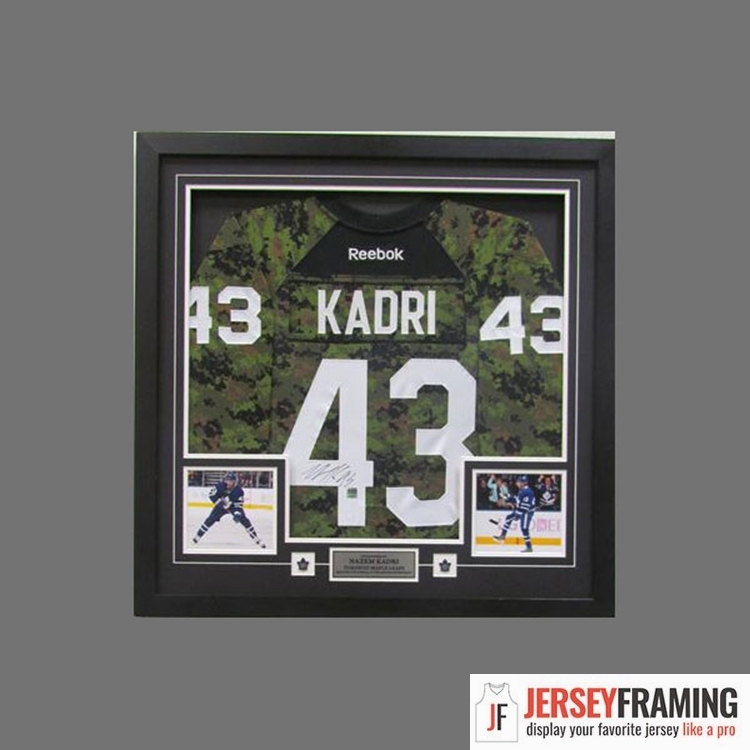 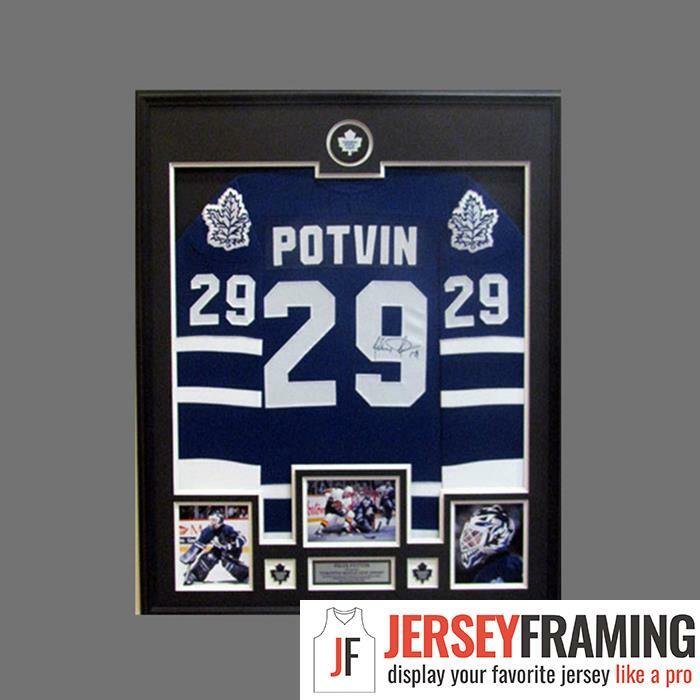 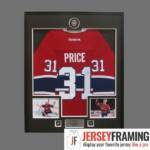 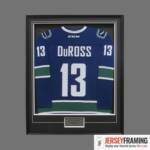 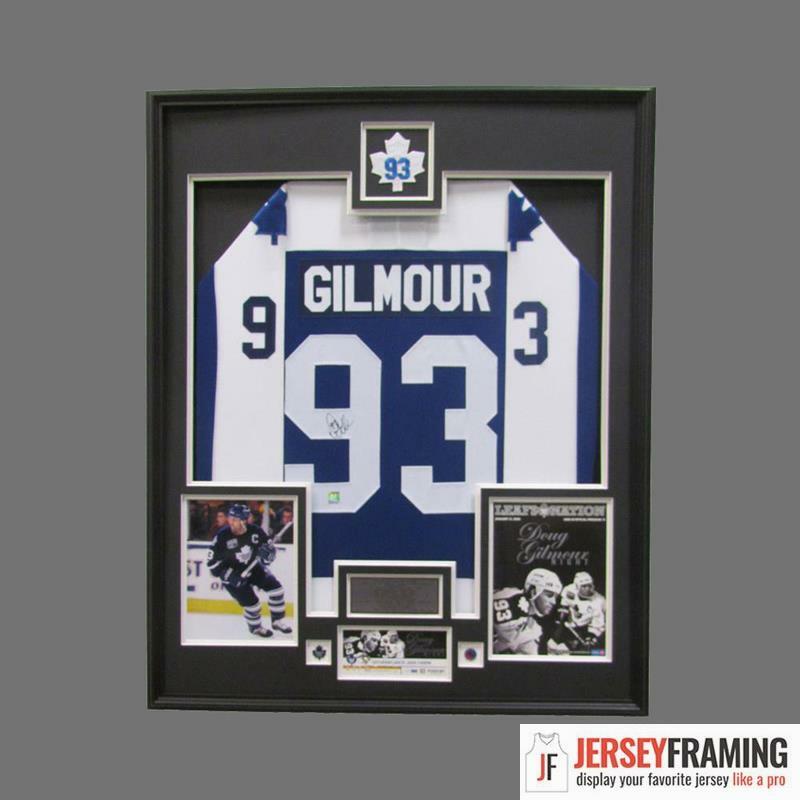 If you have a signed or unsigned hockey jersey that you would like to have framed in a beautiful, hand-crafted display, then the team here at JerseyFraming is ready to help.